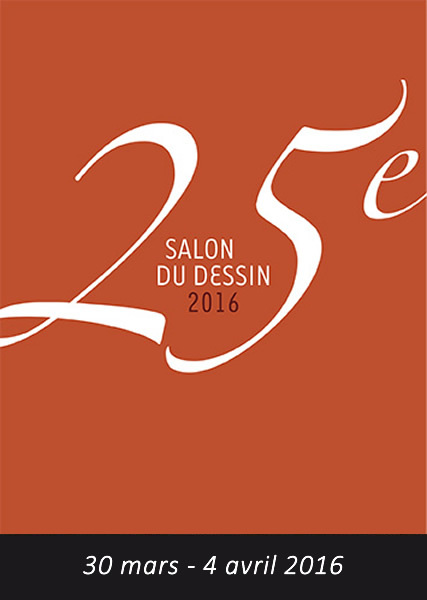 Booth 34: participation in the Salon du Dessin together with Jean-Luc Baroni. 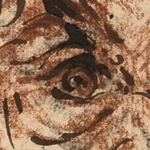 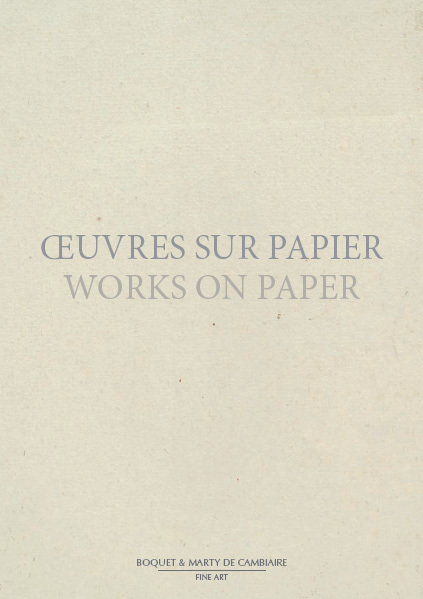 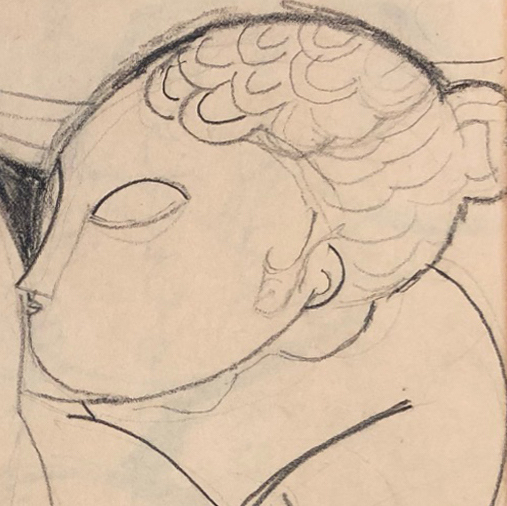 On this occasion, we will publish a catalogue that accompanies this event and will be dedicated exclusively to works on paper ranging from the 15th to the 20th century. 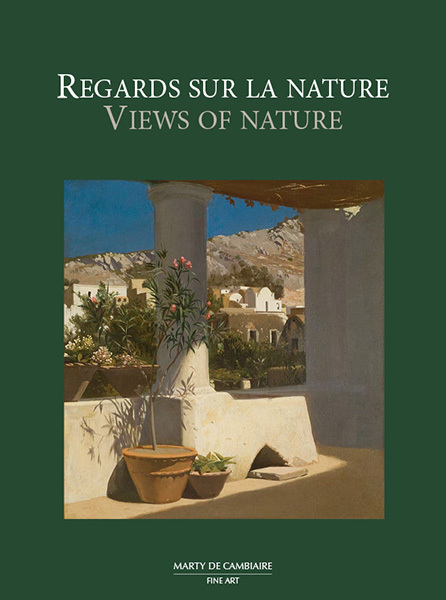 The catalogue will be available at our booth during the fair. 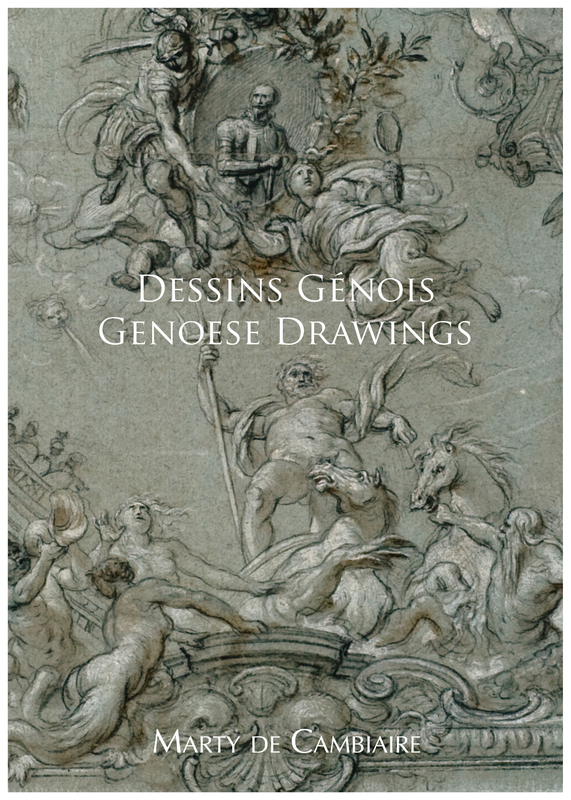 The presentation of about thirty drawings of the Genovese school from the 16th to the 18th century, which illustrates different aspects of the graphic production and the artistic families working in the Republic of Genoa "la Superba". 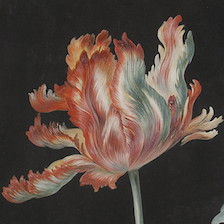 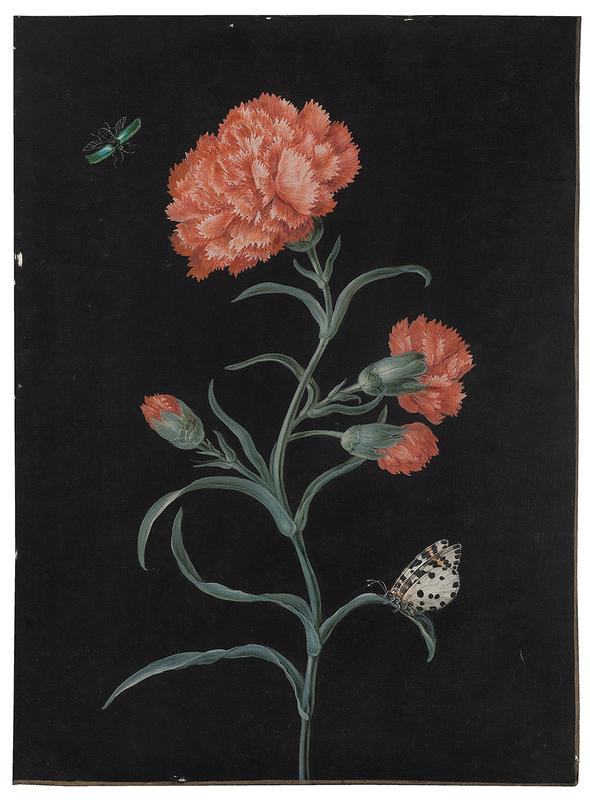 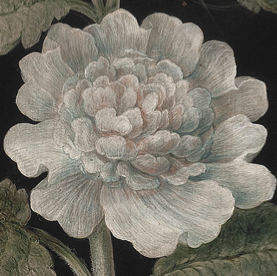 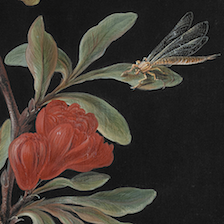 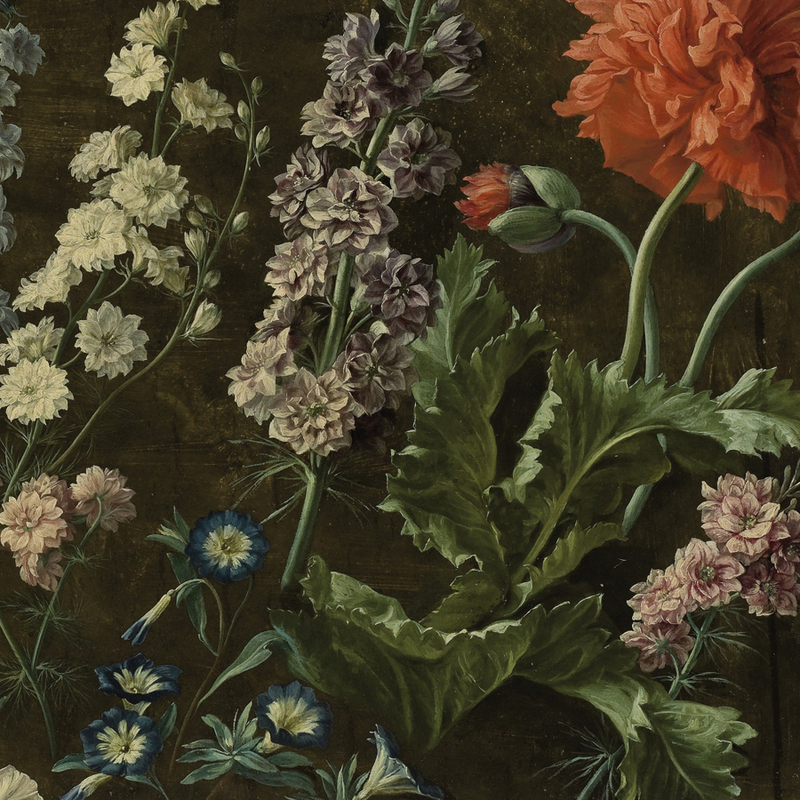 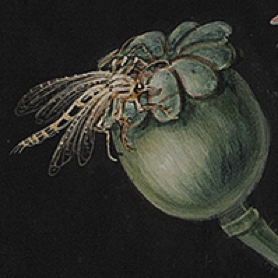 At a time when women were struggling to make their own mark, Barbara Regina Dietzsch (1706-1783) became one of the best botanist painters of the Nuremberg School with her dazzling gouaches on vellum. 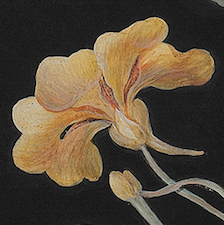 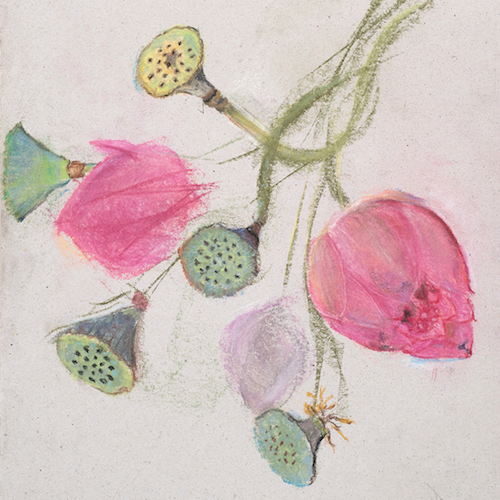 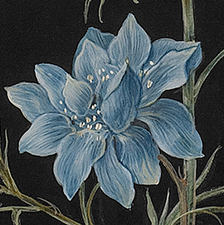 Thanks to a tremendous sense of observation and a certain poetic sense, her flower paintings exalt the beauty and cleverness of creation. 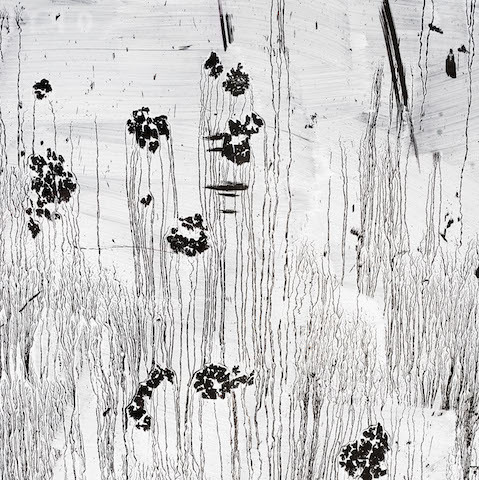 The plants with vibrant colours and velvety textures stand out on their black background like jewels in their case. 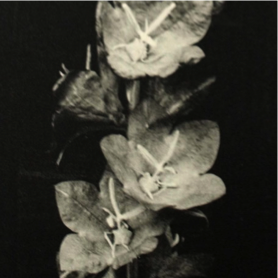 Each of them reminds of the rareness and preciousness of the represented specimens, equally coveted in their natural form. 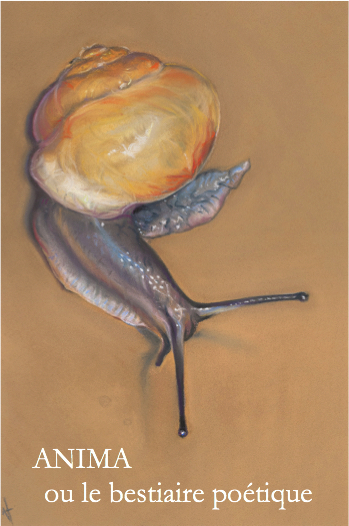 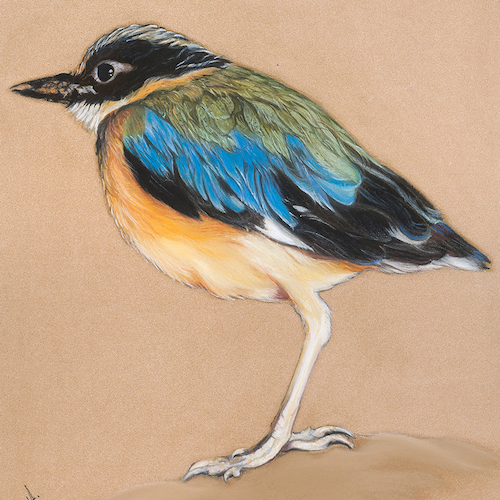 Forty pastels of animals will be presented by Xenia d'Alburquerque from 25 May to 1 June (daily, except Sunday) from 11 to 7 p.m. 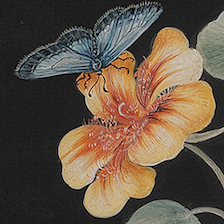 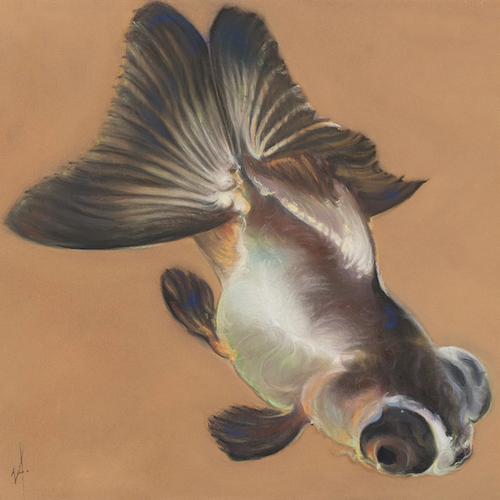 Birds, dogs and cats, a pair of Japanese koi and a snail are some of the featured animals of this poetic collection. 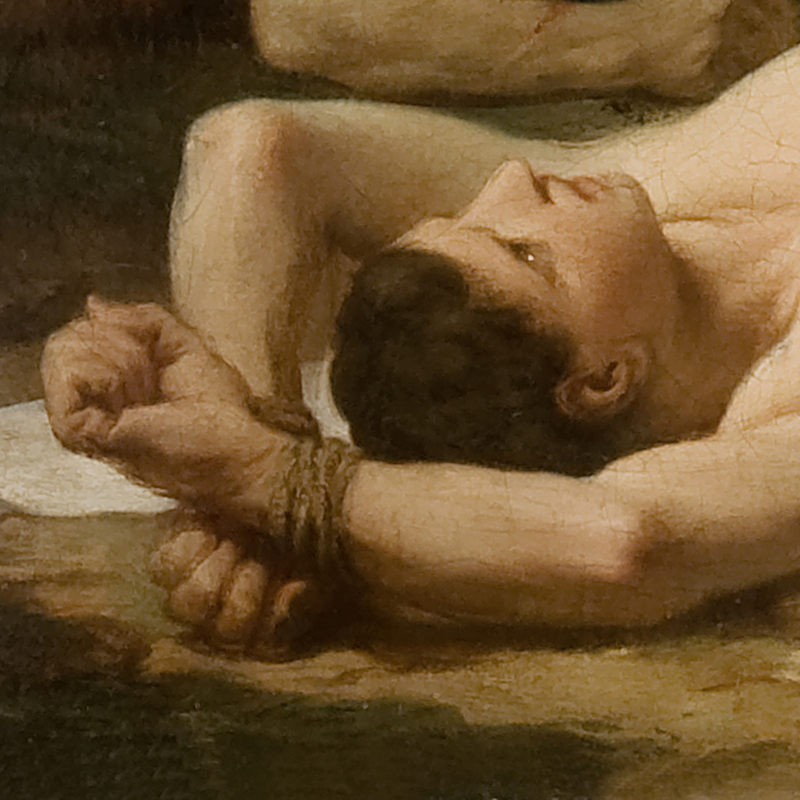 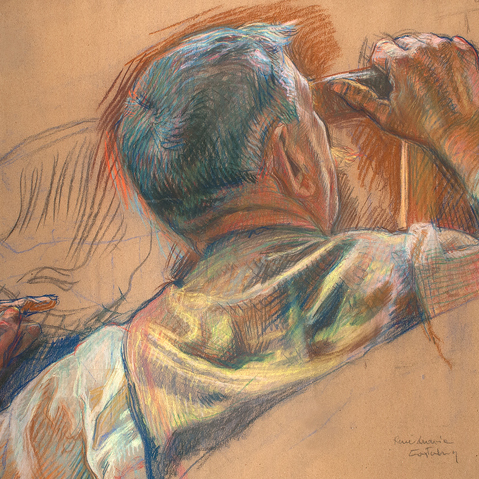 The artist's main goal is to express their soul before feathers, hair or scale. 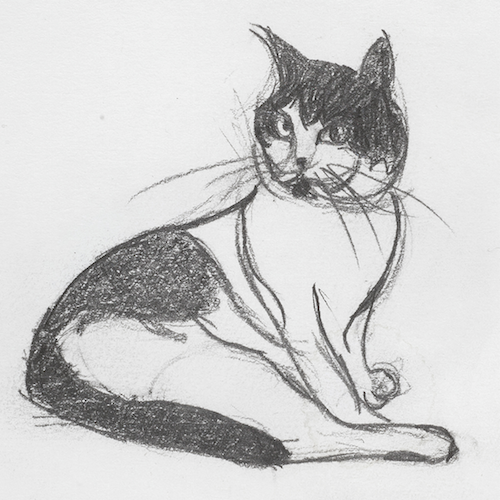 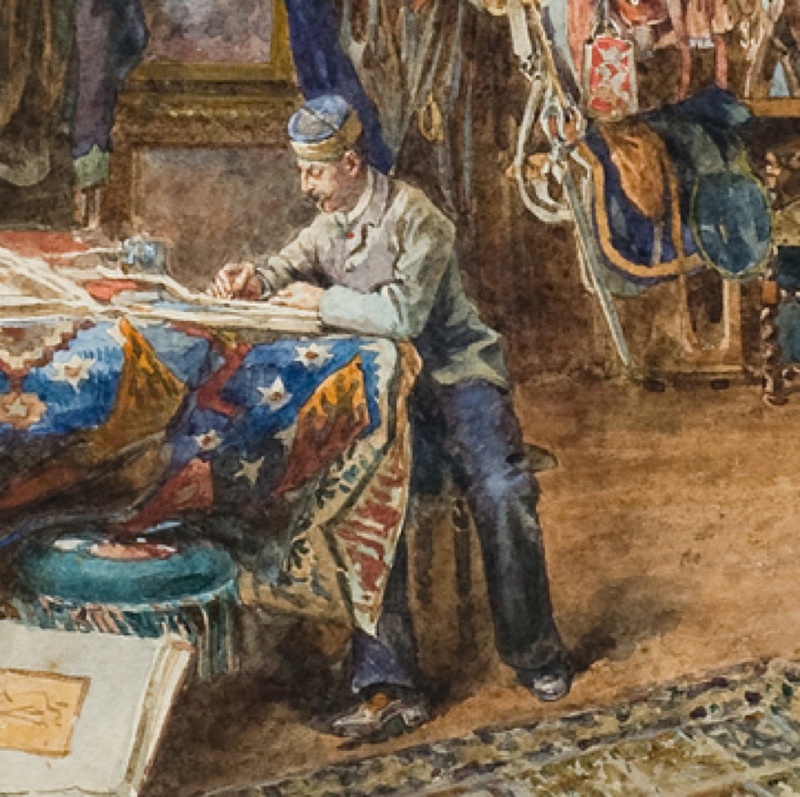 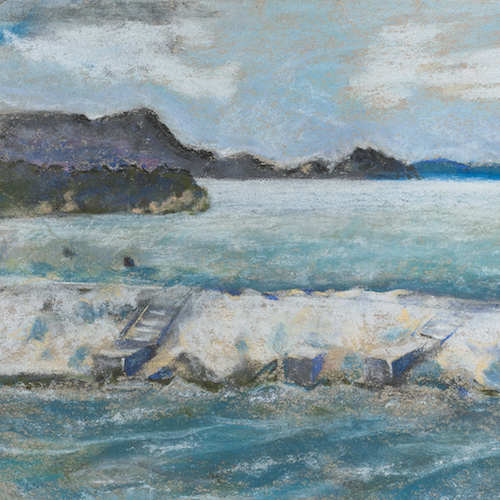 A series of sketches and landscapes by the artist will also be exhibited. 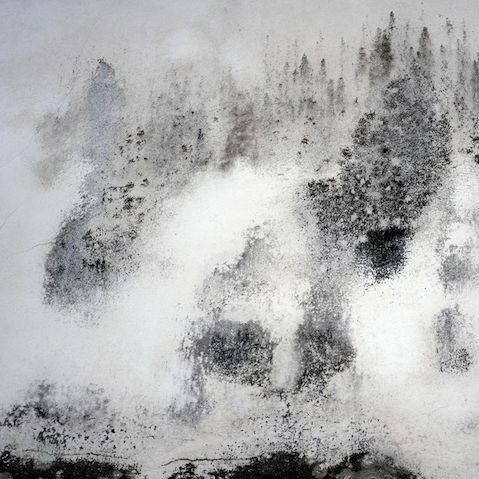 Xenia d'Alburquerque is a French poet and artist who spends most of her time in Paris. 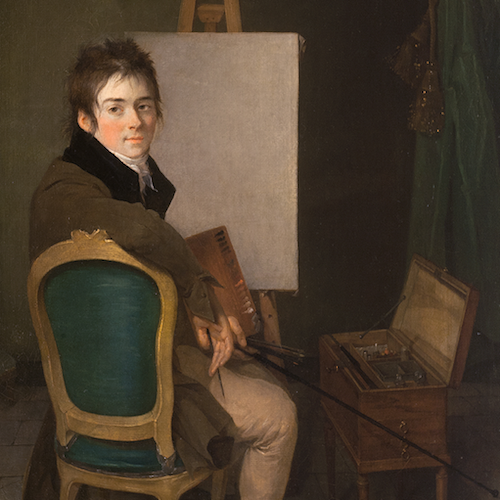 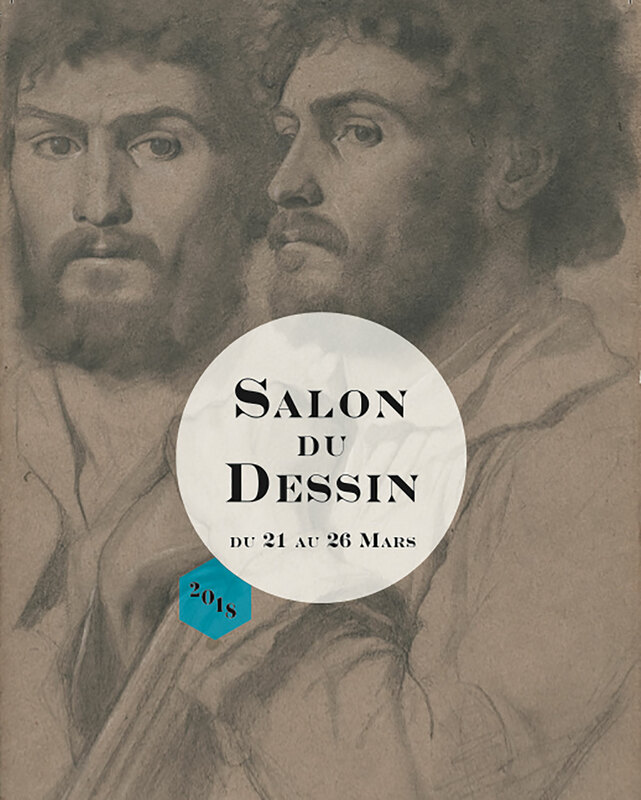 Booth 25: participation in the Salon du Dessin and publication of our thirteenth catalogue of paintings and drawings from the 16th to the 20th century. 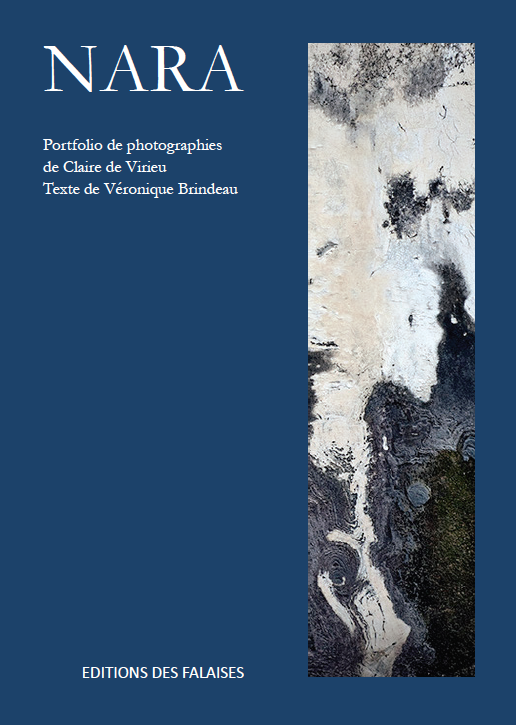 The catalogue will be available at our booth during the fair. 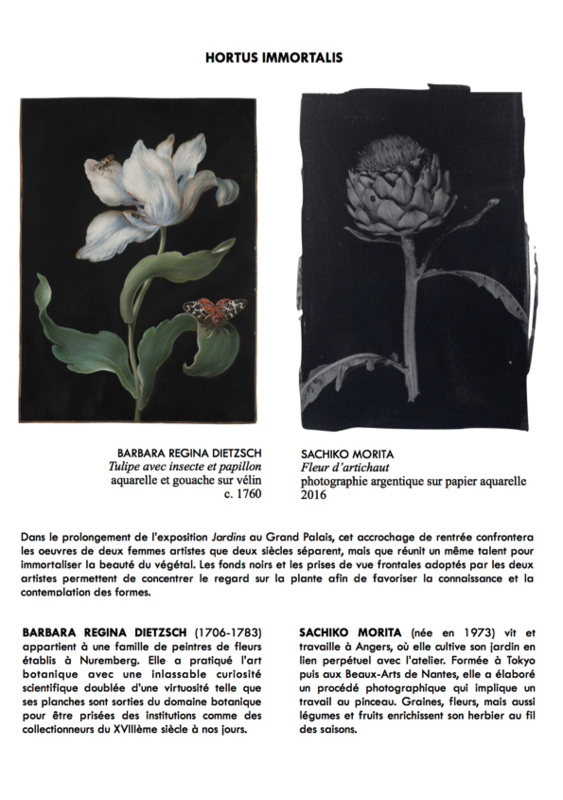 Simultaneously with the exhibition of drawings at the Salon, the paintings from the catalogue will be displayed in our office. 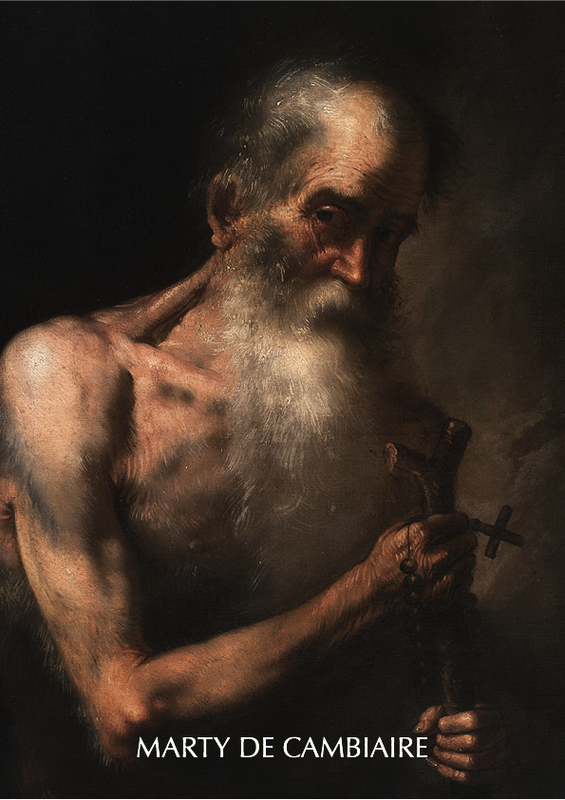 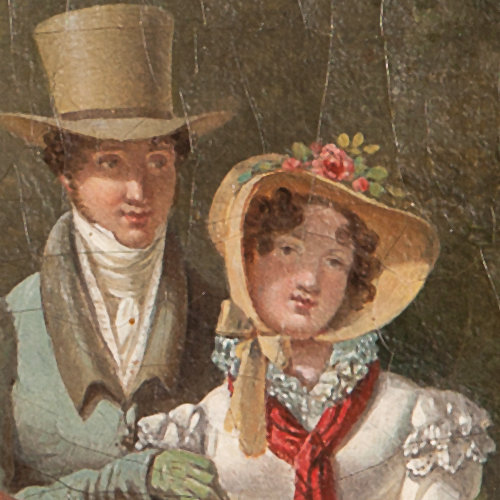 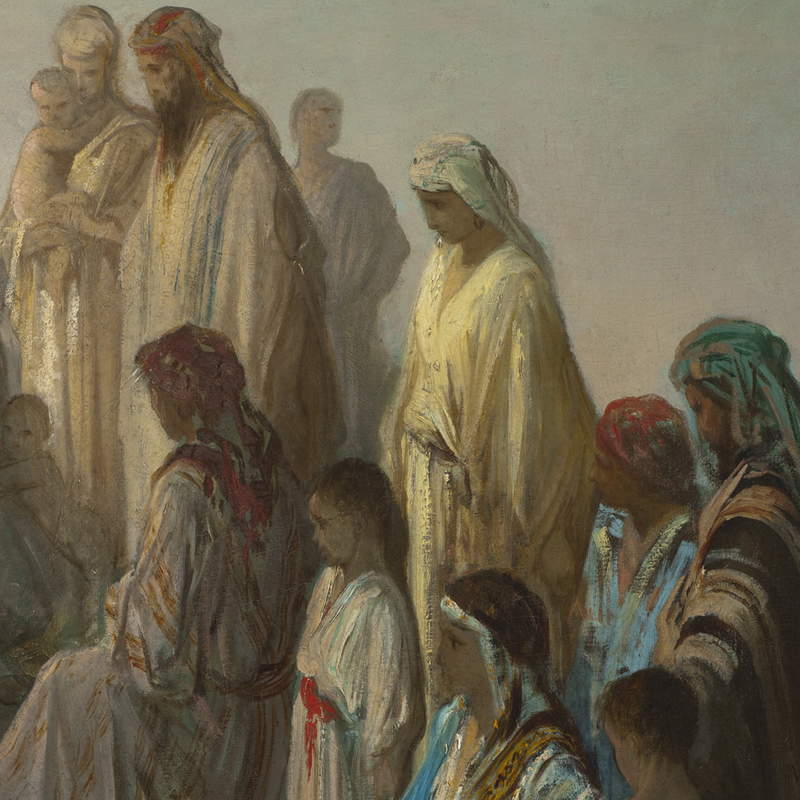 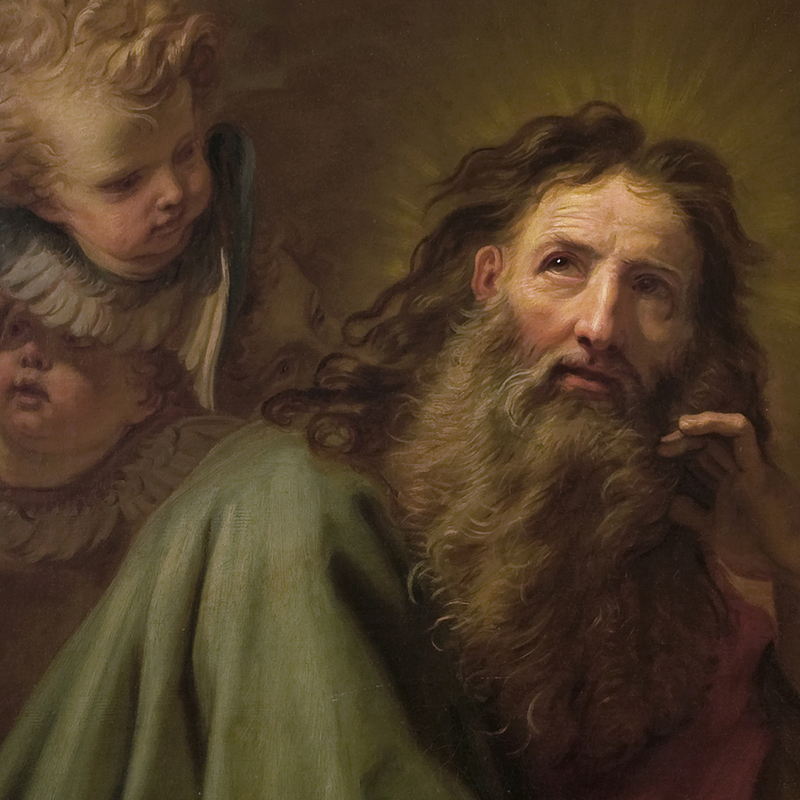 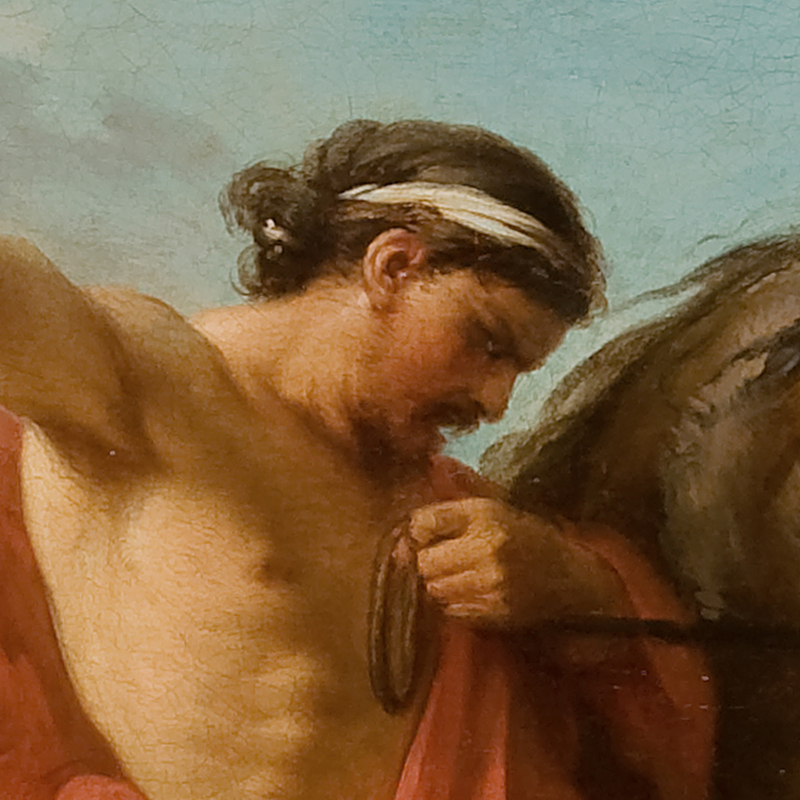 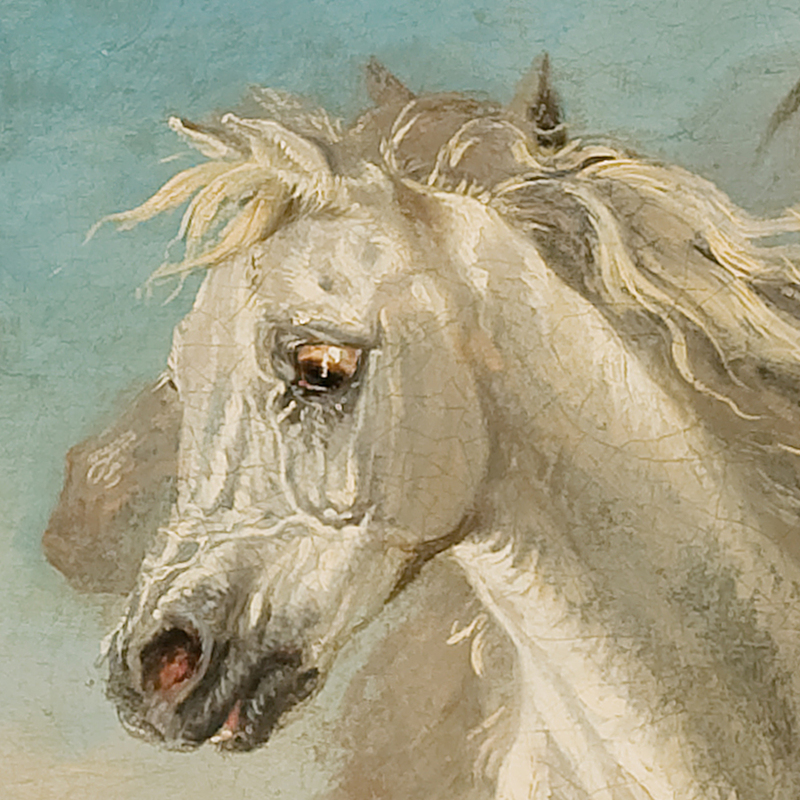 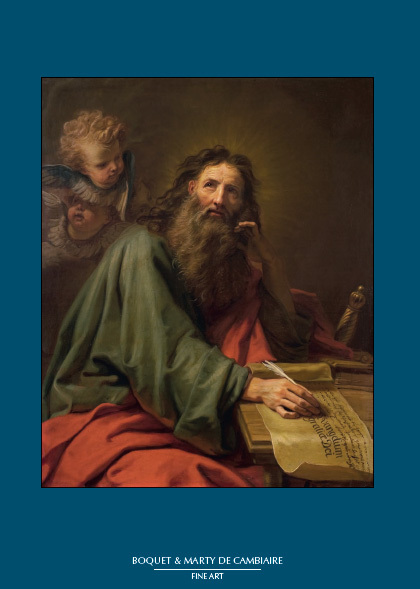 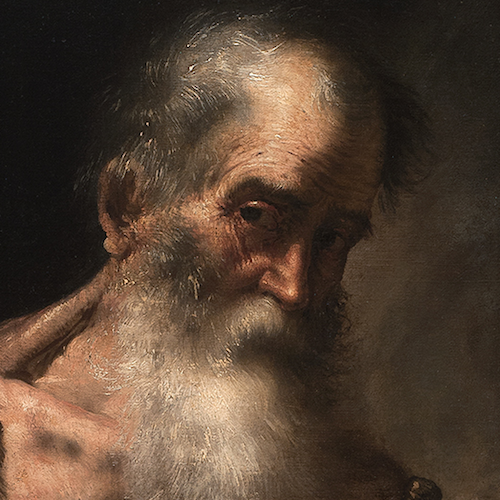 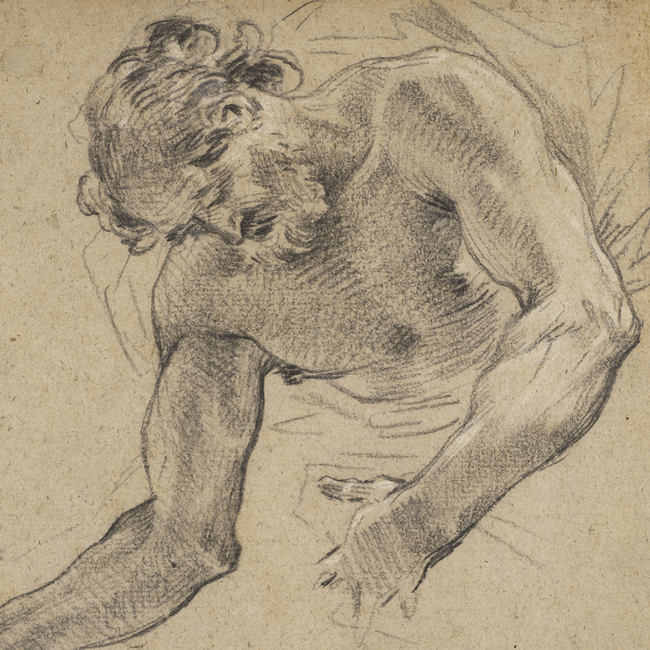 This catalogue presents drawings and paintings from the 16th to the 19th century offering a selection of quality artworks at accessible prices. 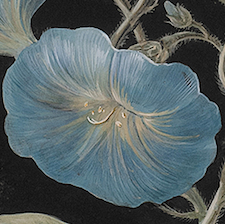 We reopen after the summer holidays with this display – created in collaboration with Blandine Chambost and as a continuation of the exhibition Jardins at the Grand Palais – that compares the works of two women artists separated by two centuries, but united by their talent for capturing the beauty of vegetation. 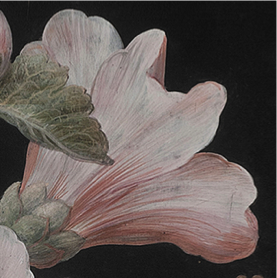 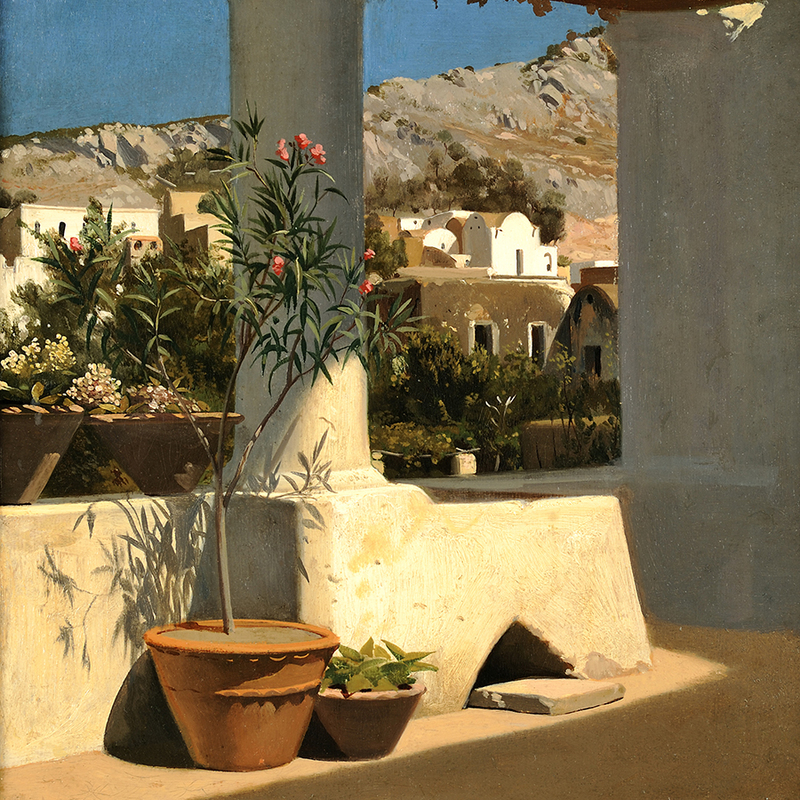 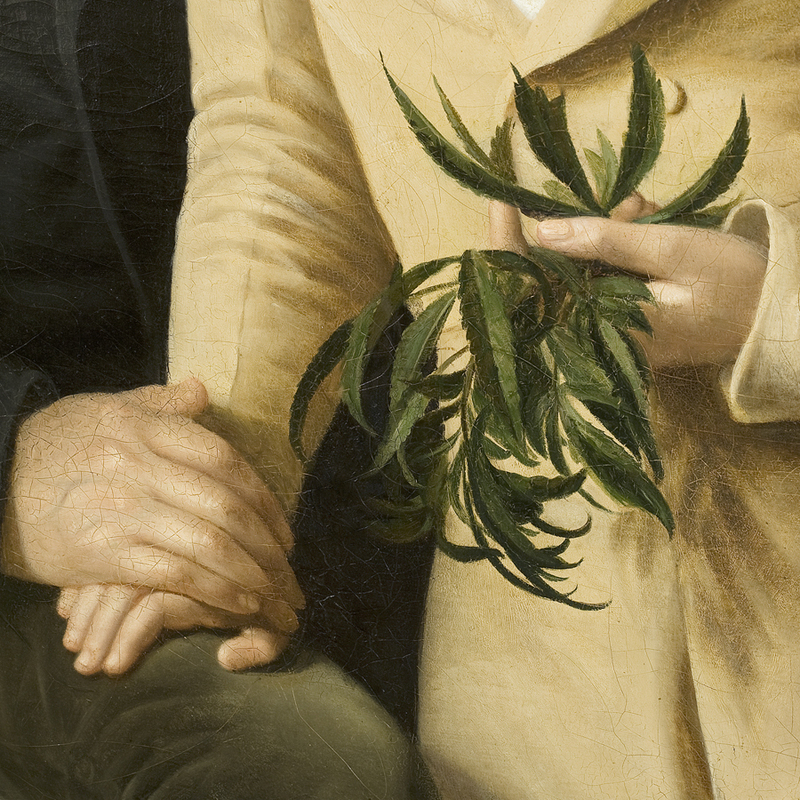 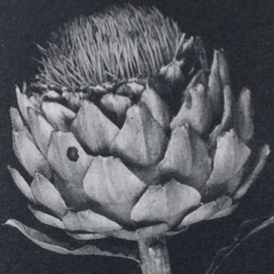 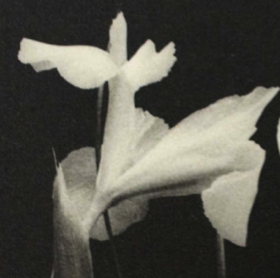 Black backgrounds and frontal points of view adopted by both artists allow the viewer to focus on the plants and thus facilitate the study and contemplation of the forms. 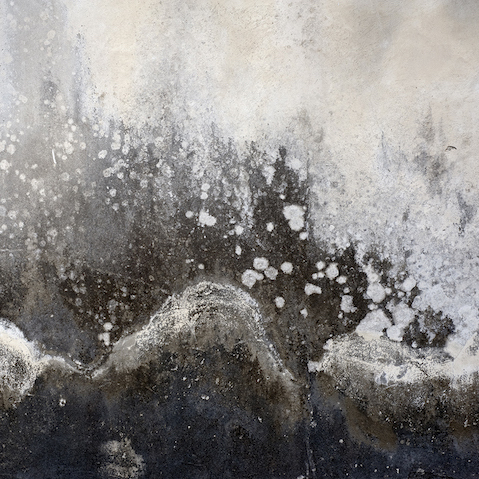 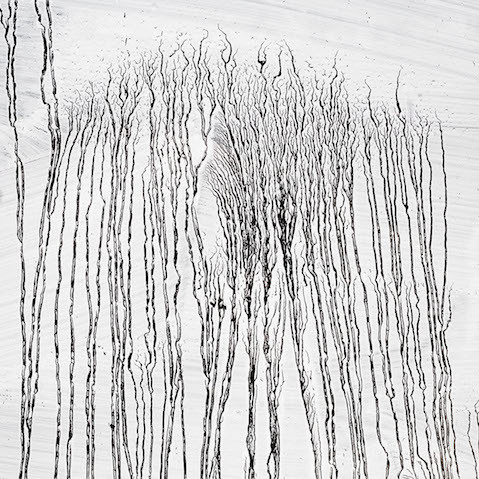 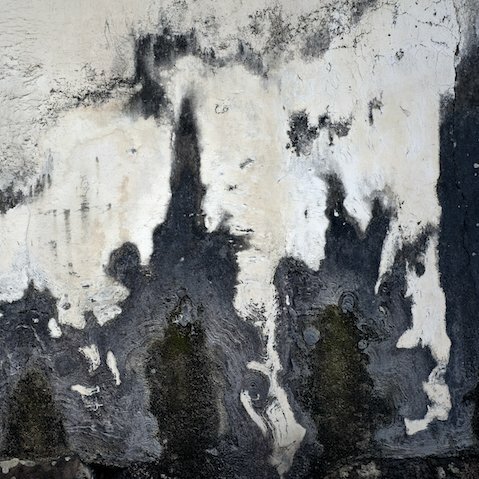 Presentation of the work of the photographer Claire de Virieu: abstract landscapes that she executed during a trip to Japan. 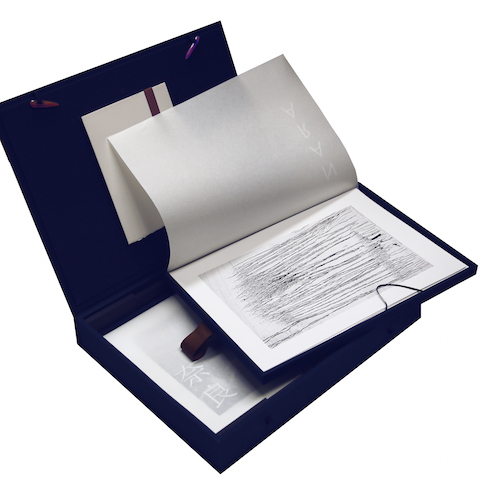 On this occasion, Editions de Falaises published a portfolio in 60 copies which includes 20 prints. 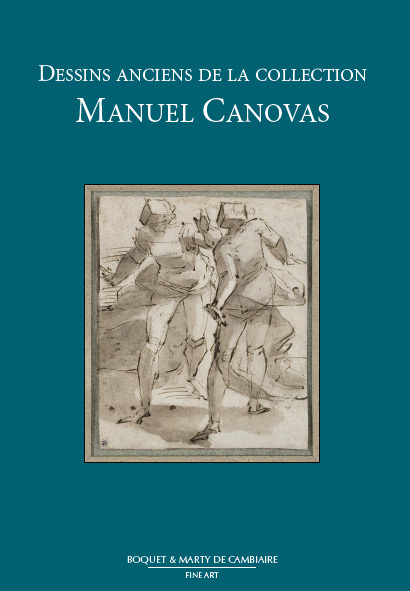 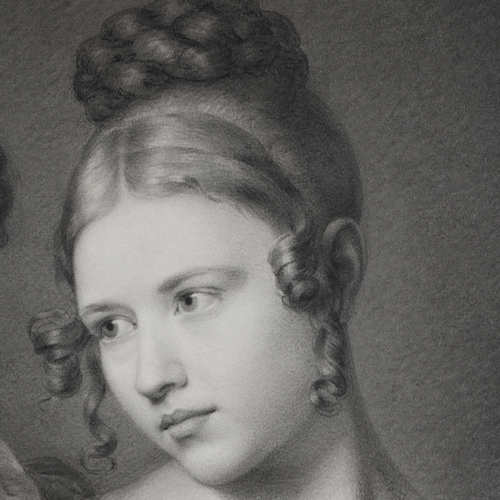 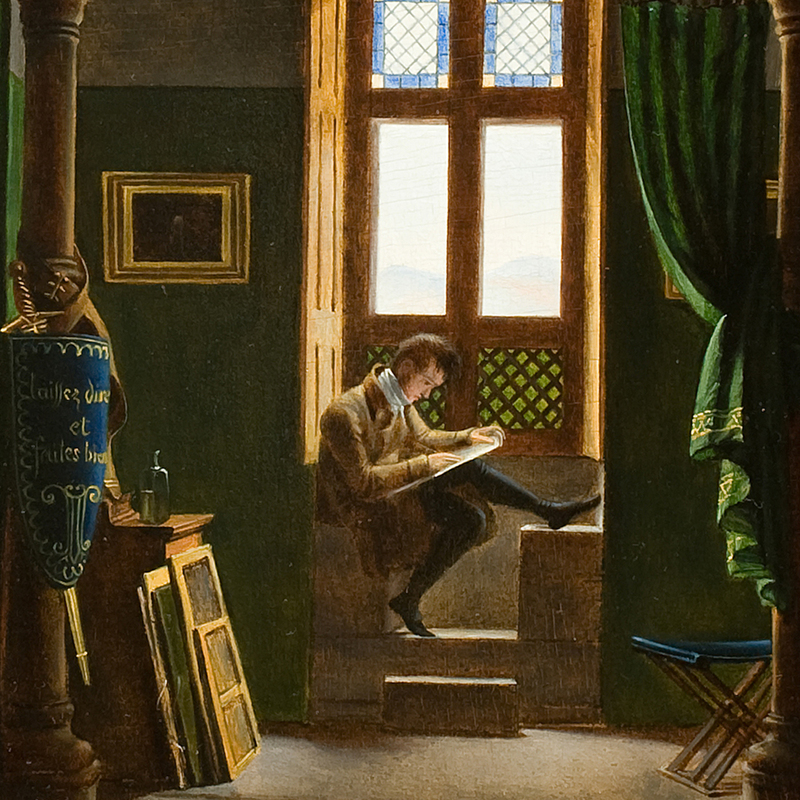 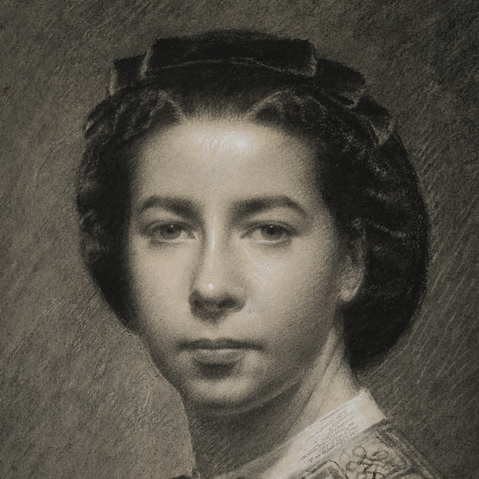 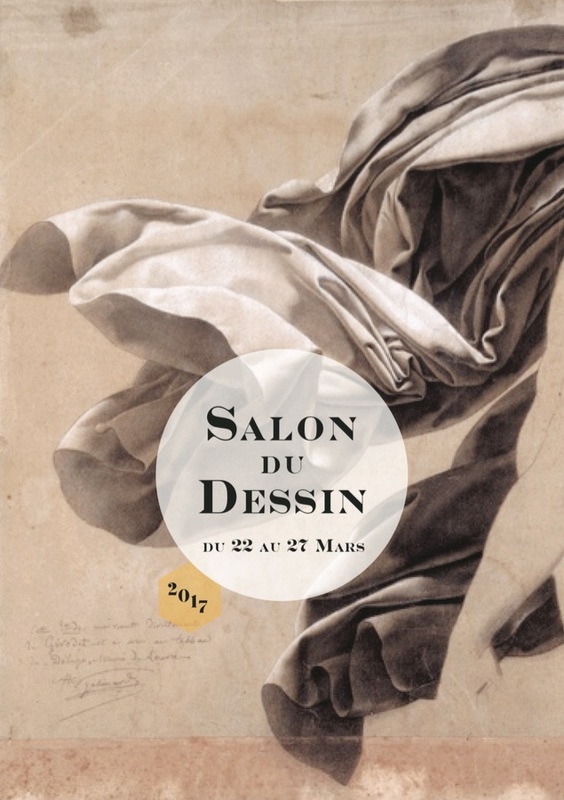 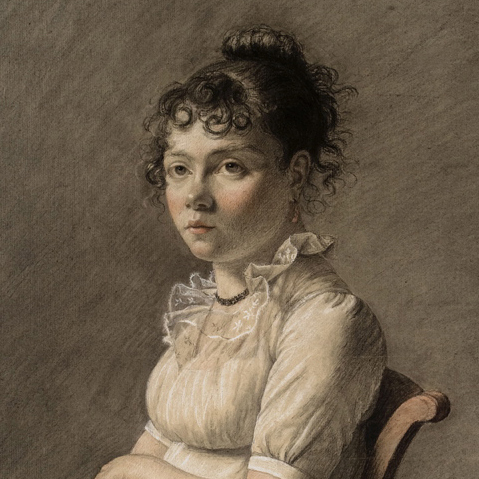 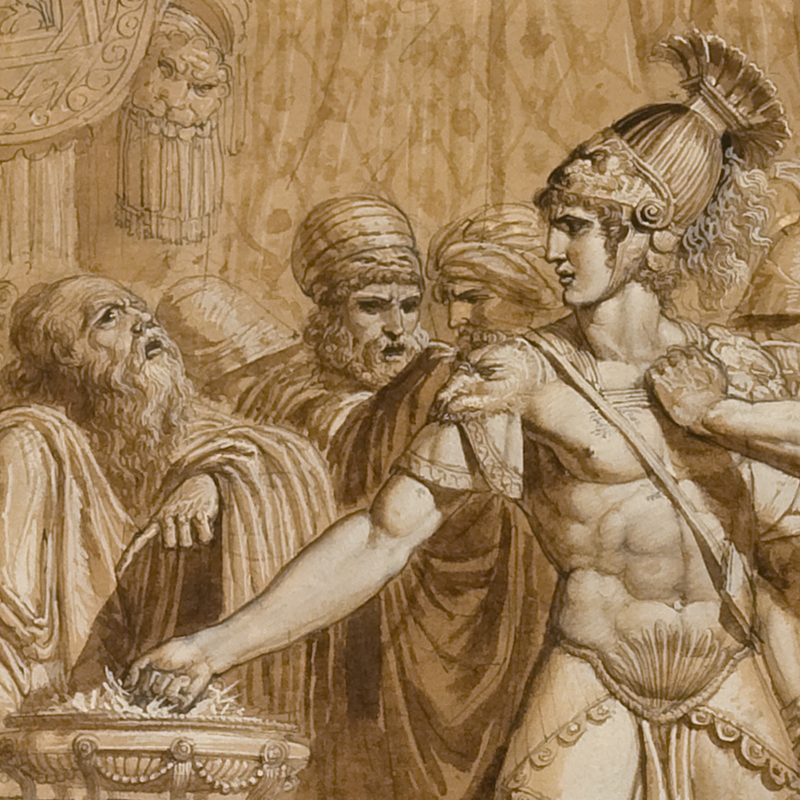 Second exhibition at the prestigious Salon du Dessin and publication of a bilingual catalogue Paintings & Drawings proposing a selection of 35 works, mostly from private collections, ranging from the 16th to the 19th century. 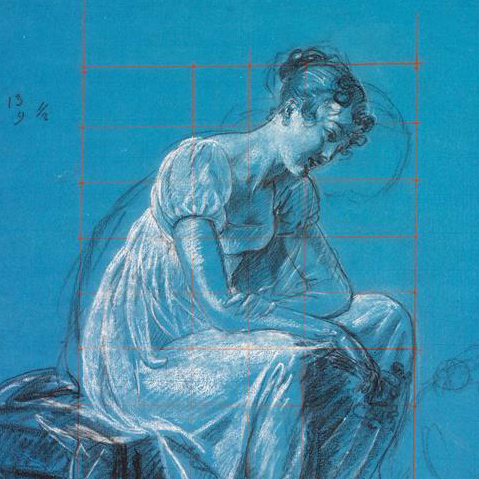 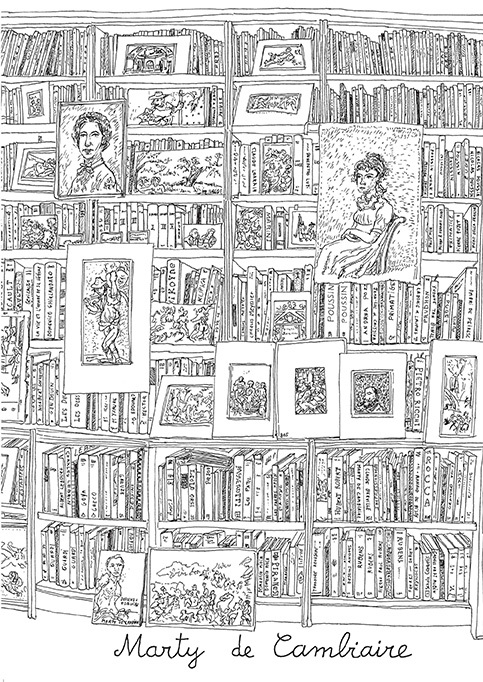 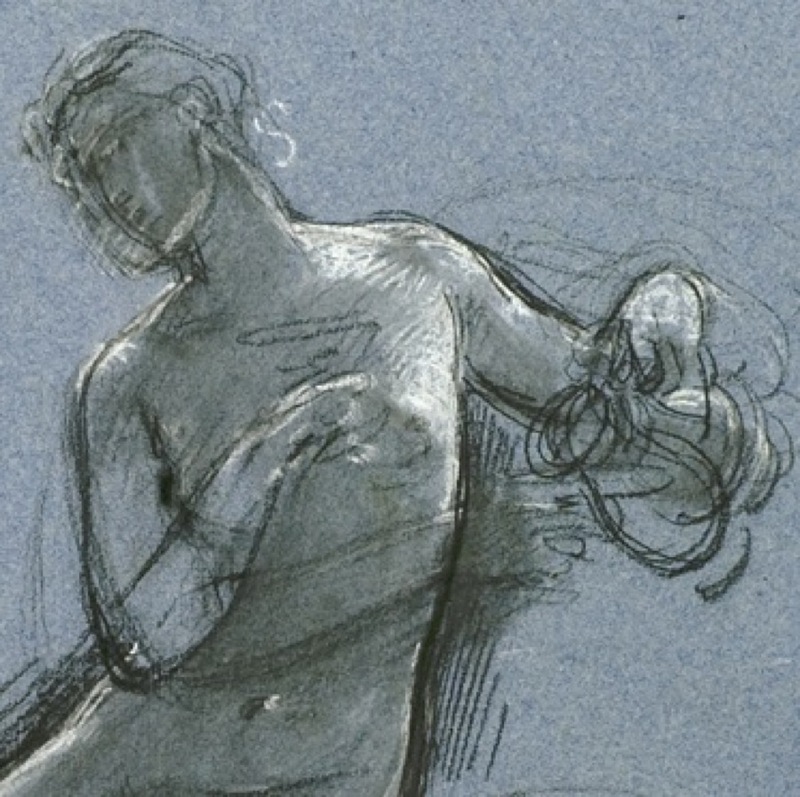 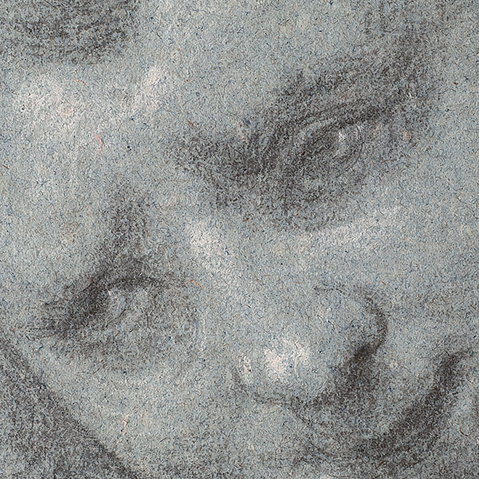 The catalogue presents a selection of drawings from the 16th to the 21st century. 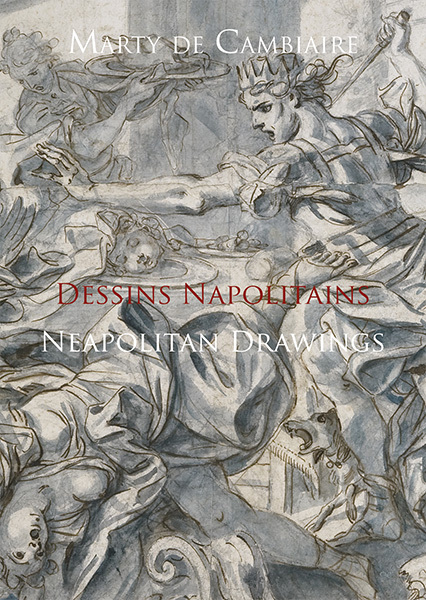 The cover has been executed by the young draughtswoman Christelle Téa, who graduated from the École des Beaux-Arts, Paris, in 2015. 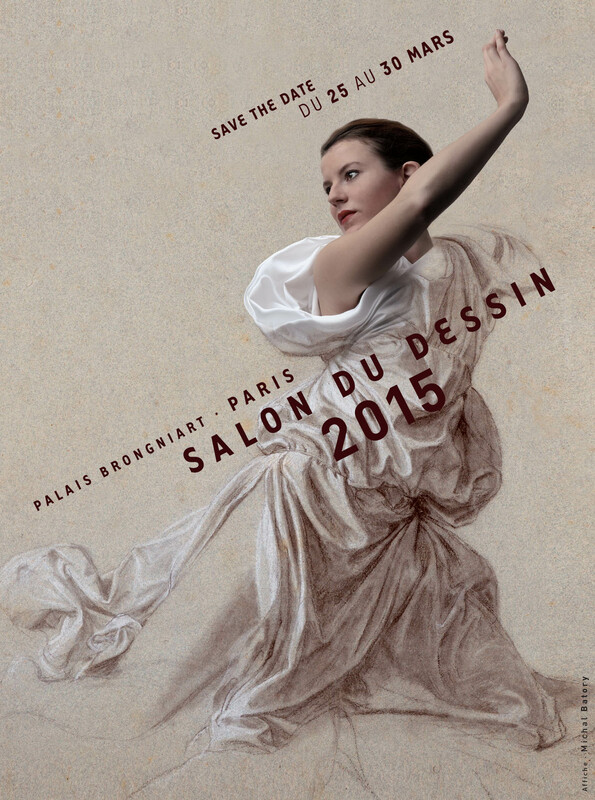 She received the Portrait Award of Bertrand Demandolx-Dedons in 2015. 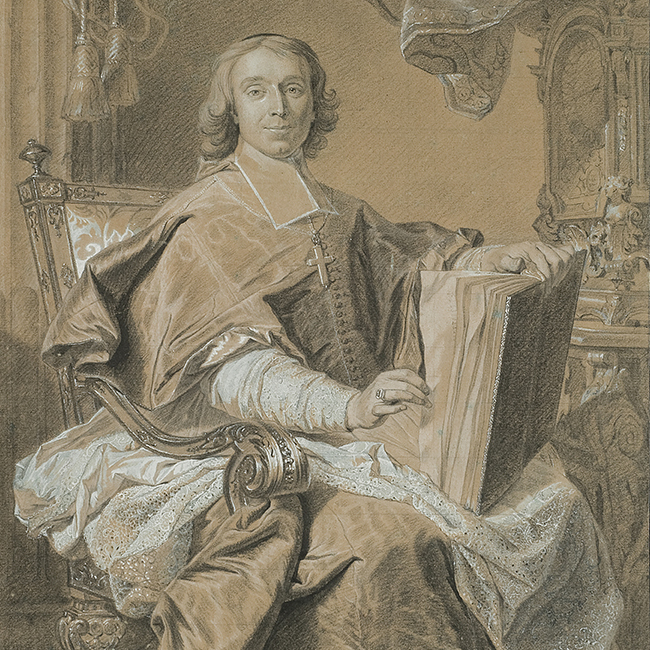 The member of the Association of the Friends of Jean Bonna Cabinet of the École de Beaux-Arts, Marty de Cambiaire is making efforts in supporting the students of this school, particularly in the field of drawing. 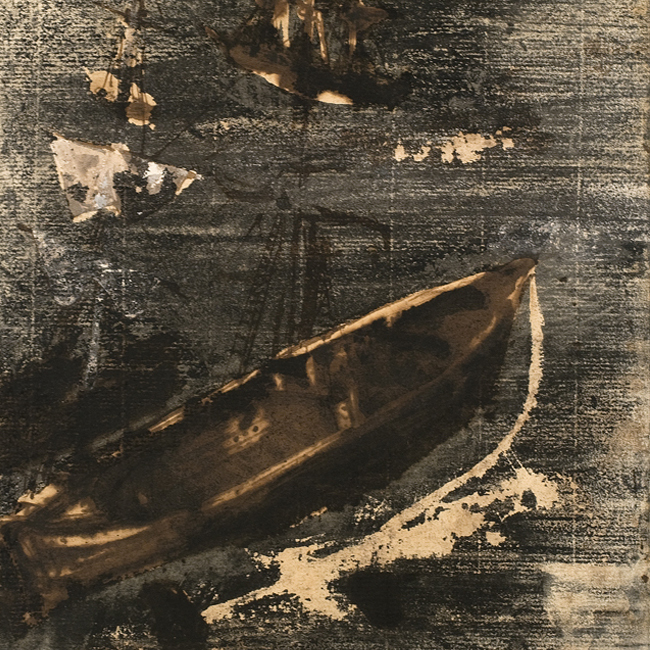 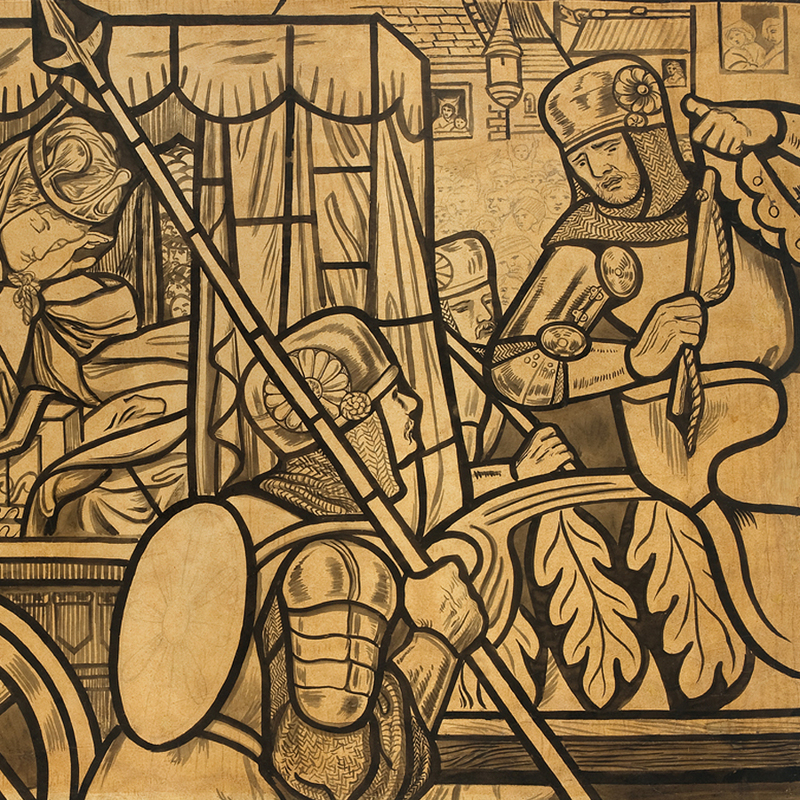 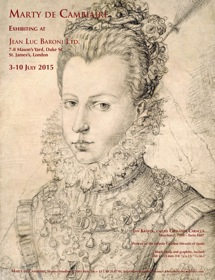 3 - 10 July 2015 - London - Jean-Luc Baroni Ltd.
On the occasion of London Art Week, from 3 to 10 of July, we will be exhibiting a selection of works on paper at Jean-Luc Baroni Ltd. 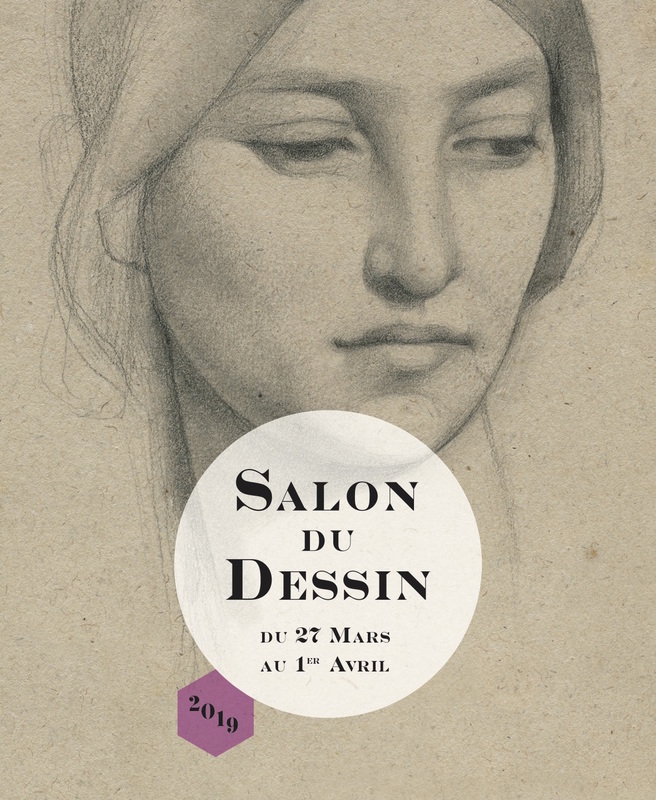 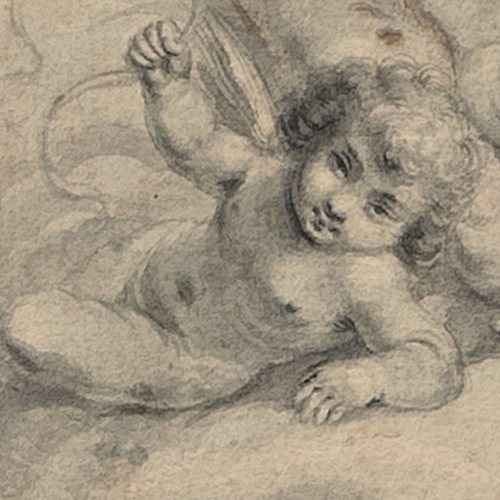 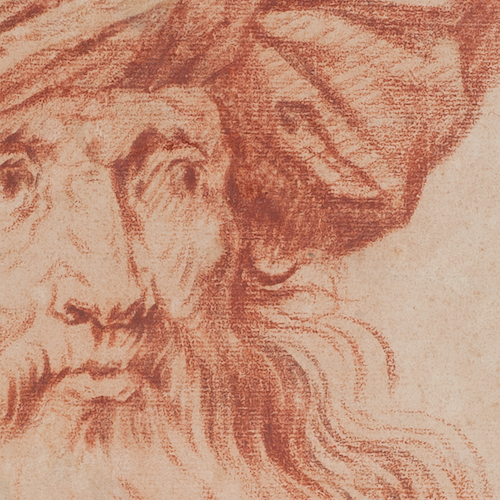 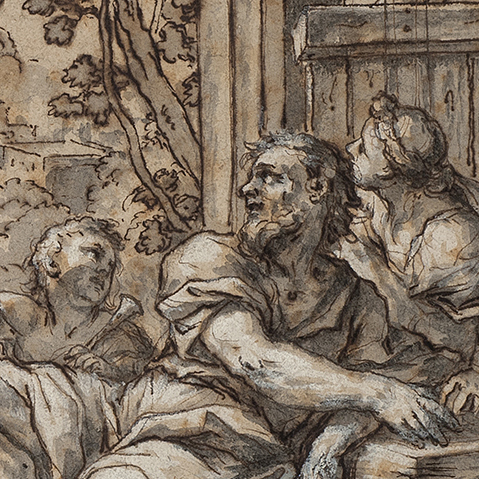 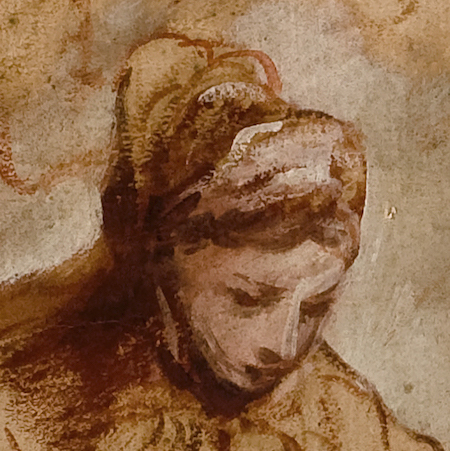 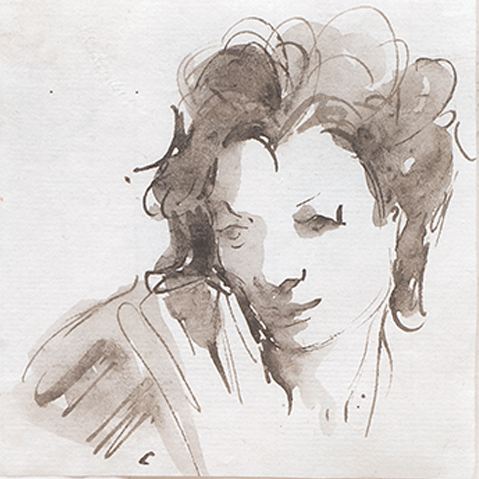 This year, we are delighted to participate in the Salon du Dessin, Paris, from March 25 to 30, where we are going to present a selection of about forty works on paper. 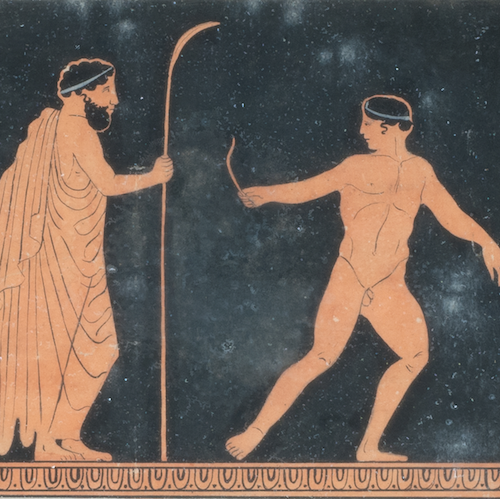 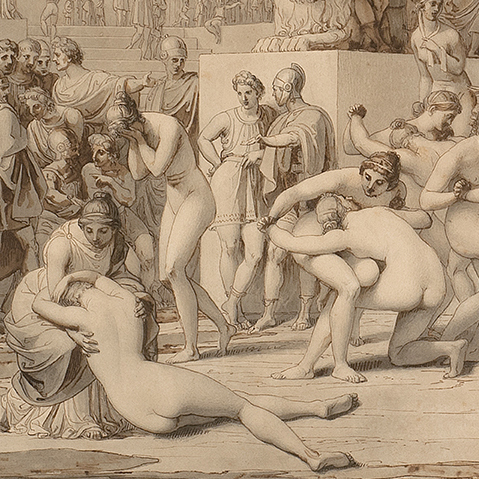 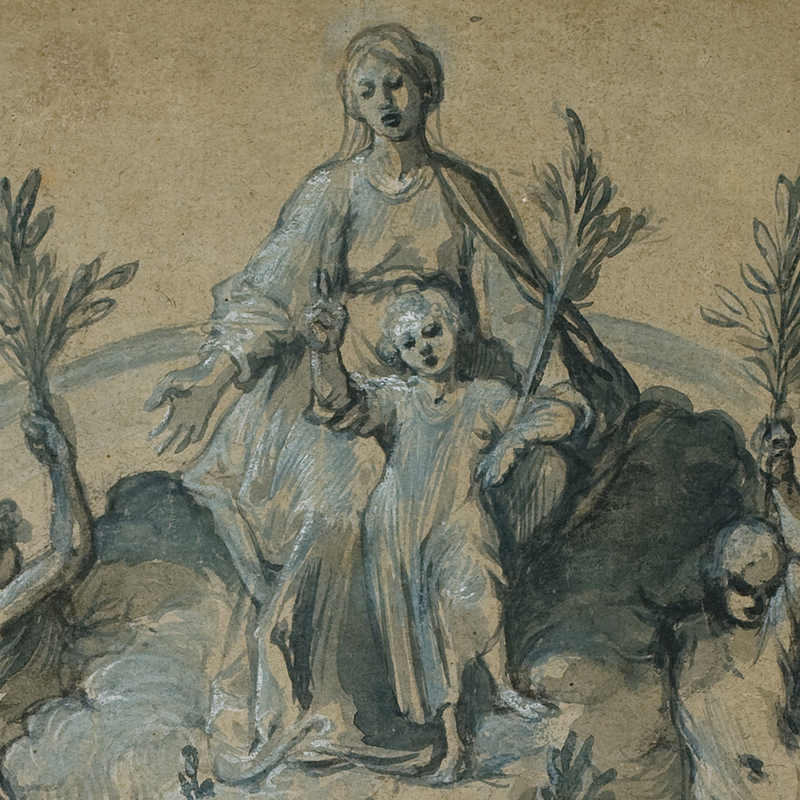 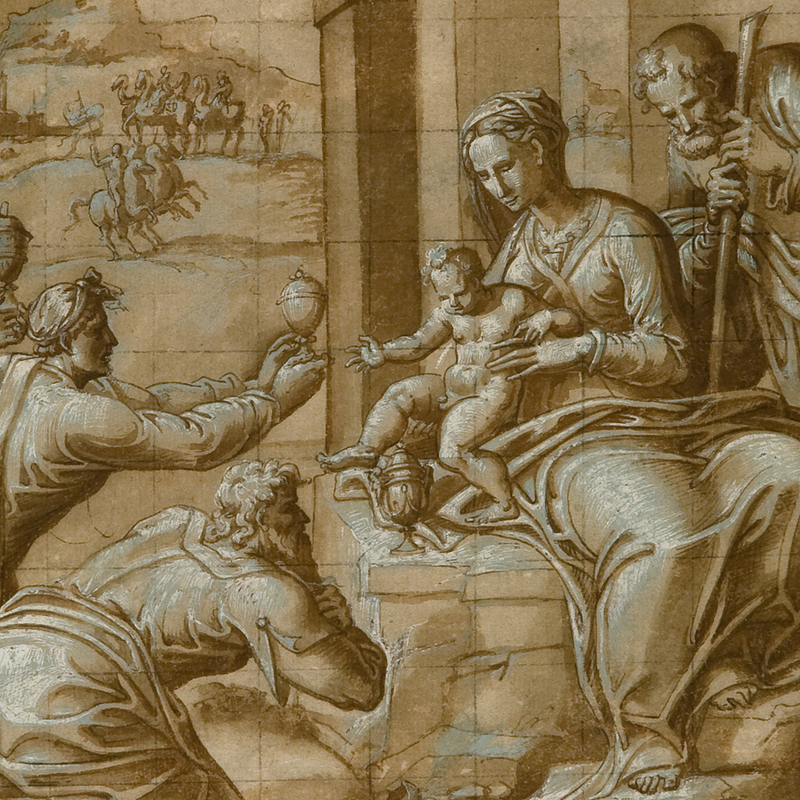 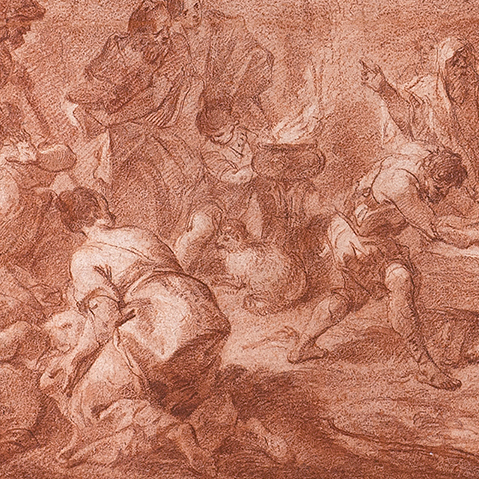 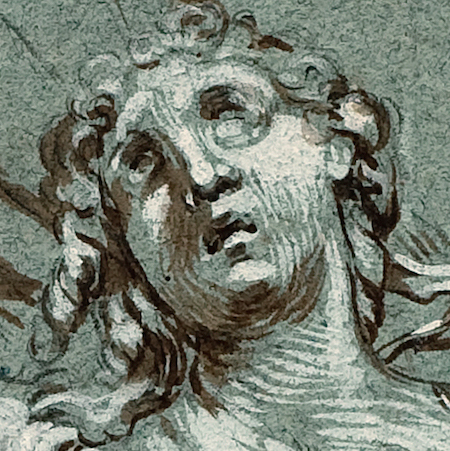 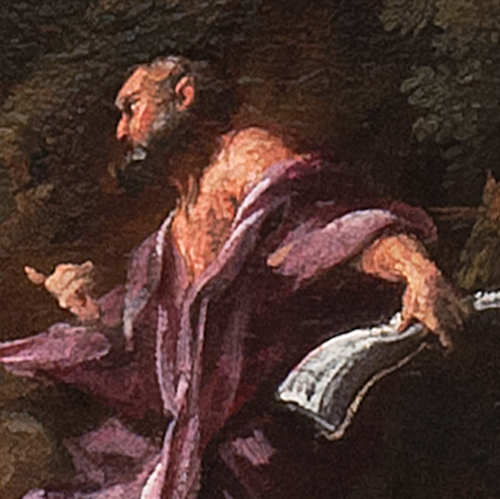 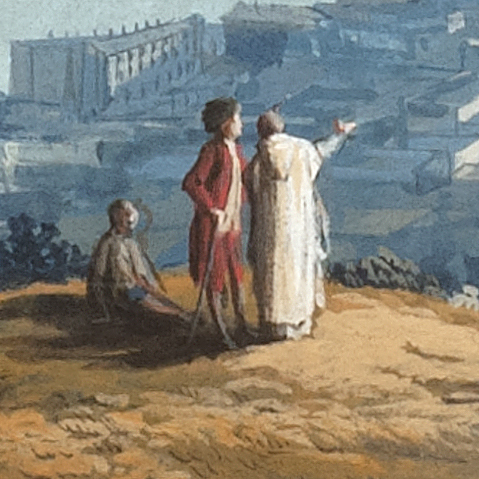 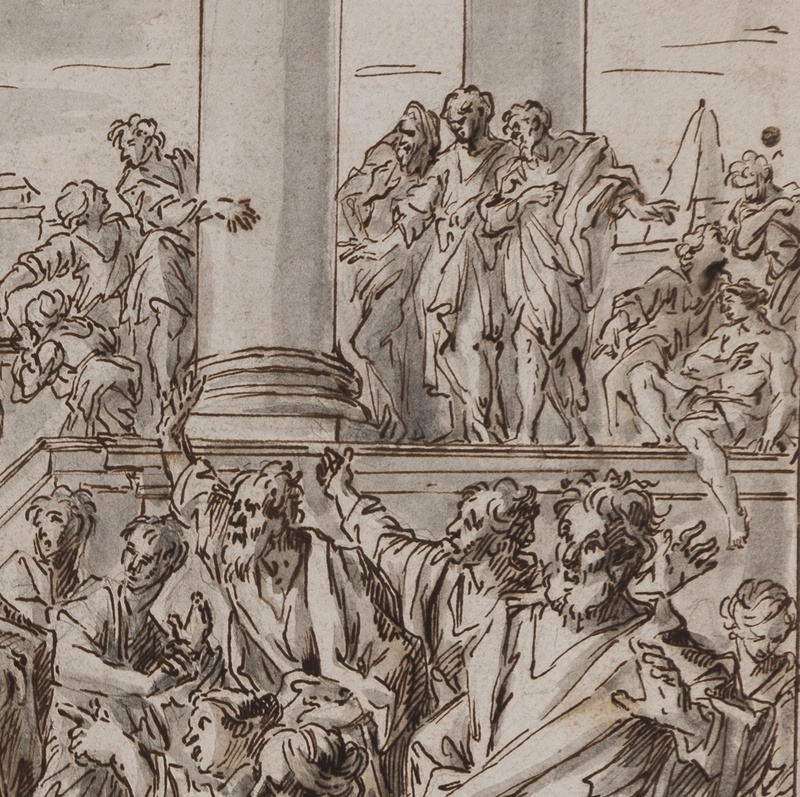 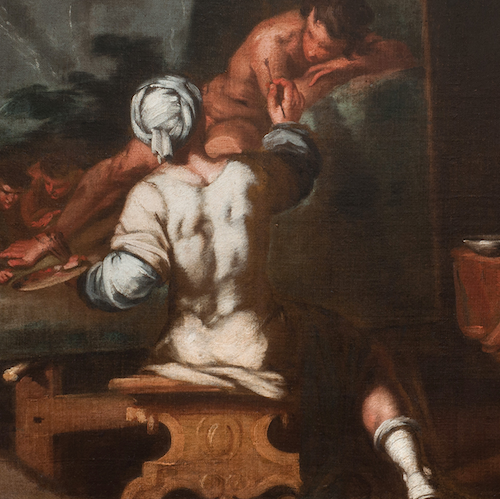 The presentation of 40 drawings of the Neapolitan school from the 16th to the 18th century which illustrates several aspects of the graphic production in Southern Italy and suggests some new attributions. 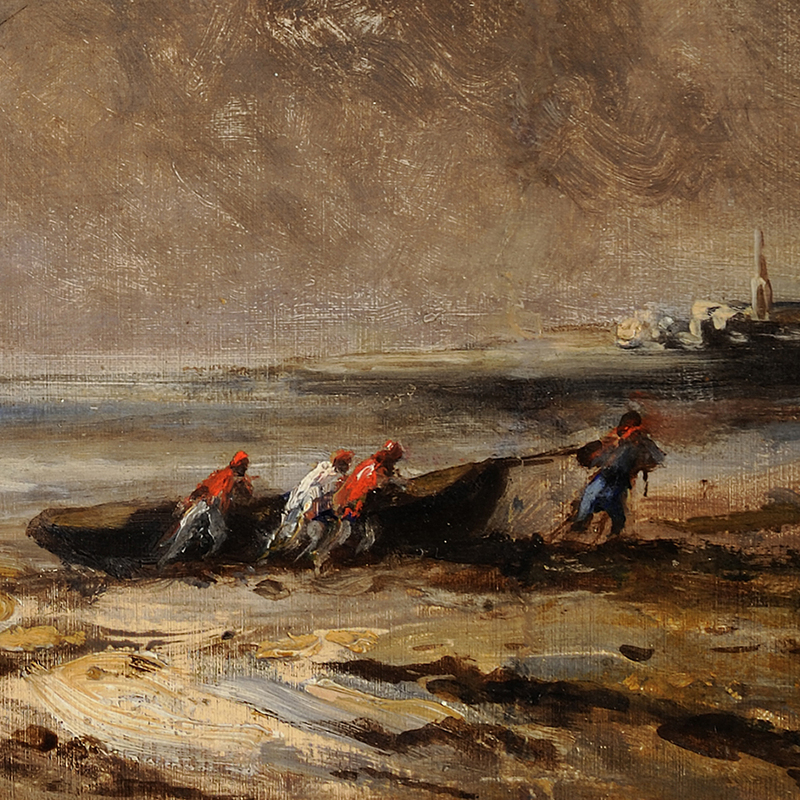 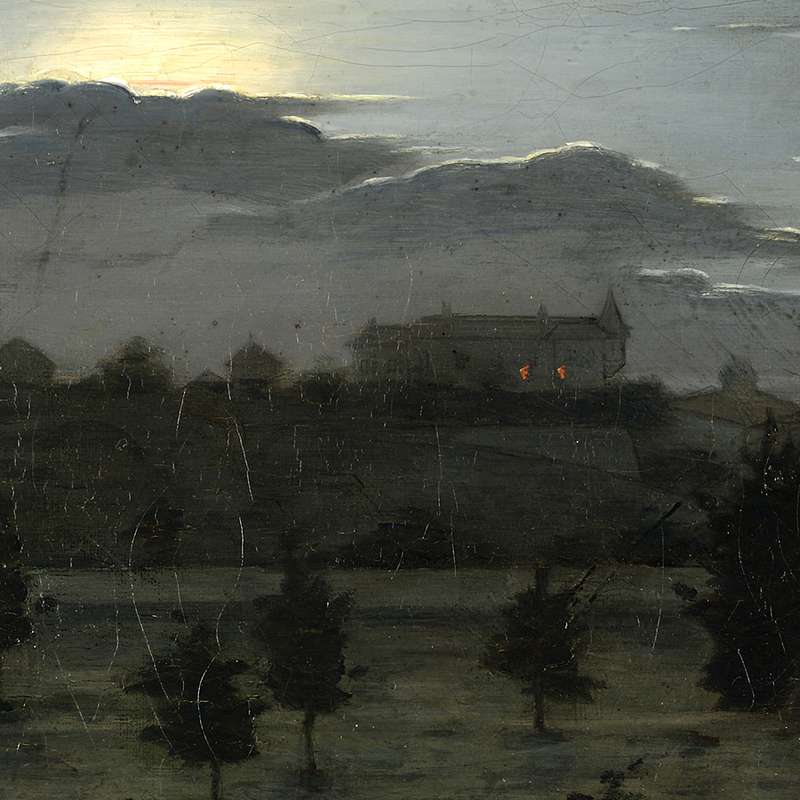 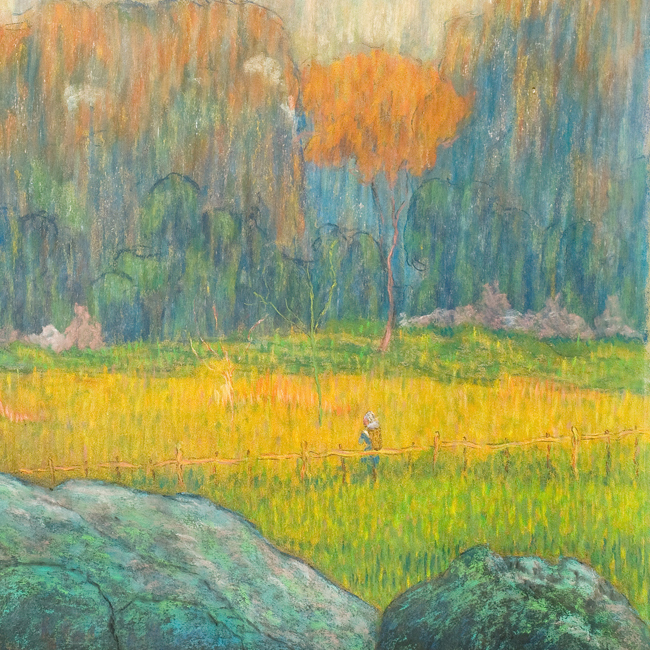 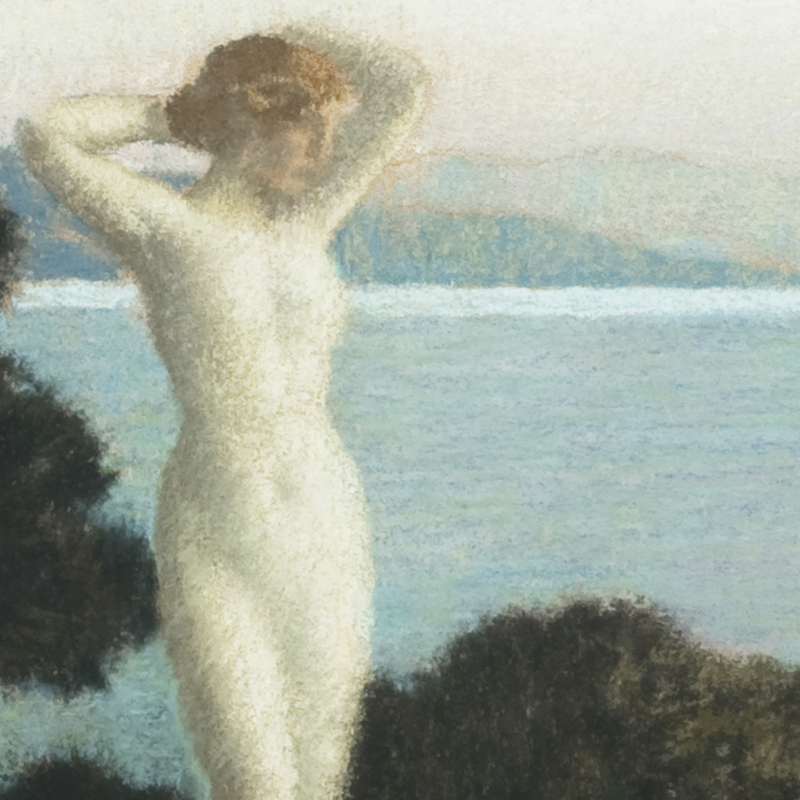 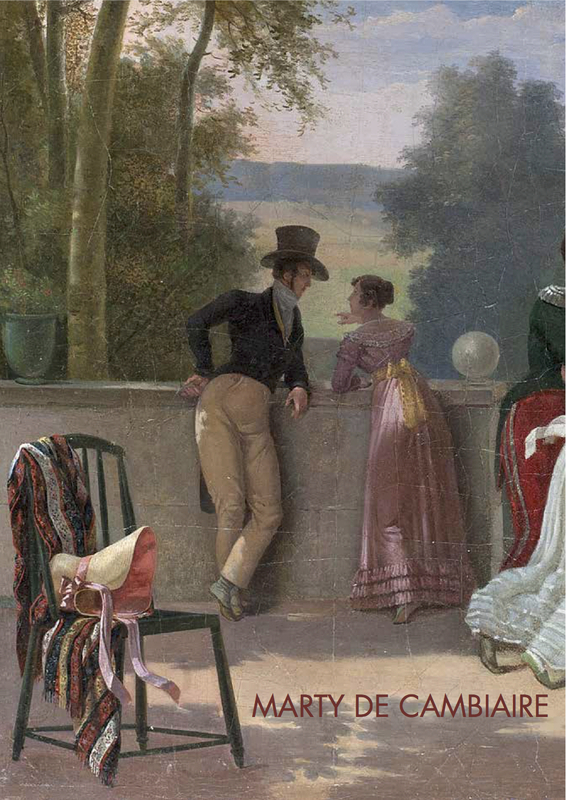 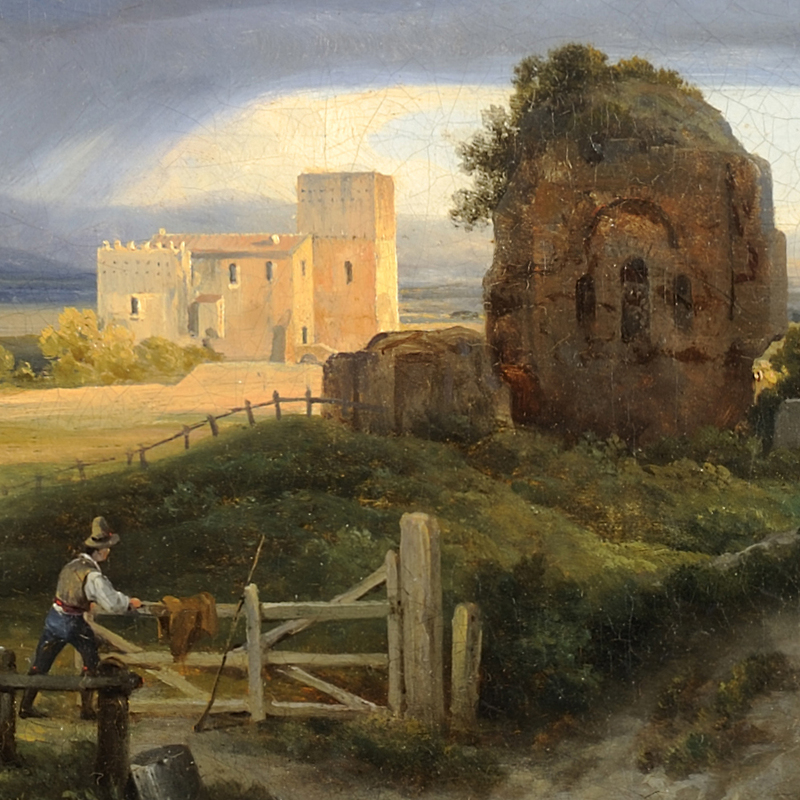 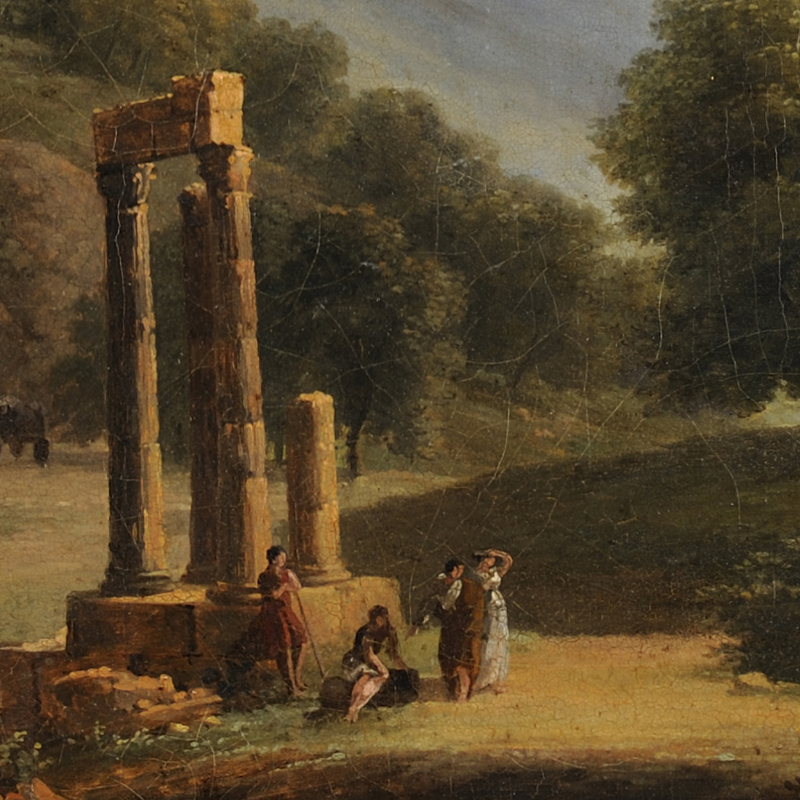 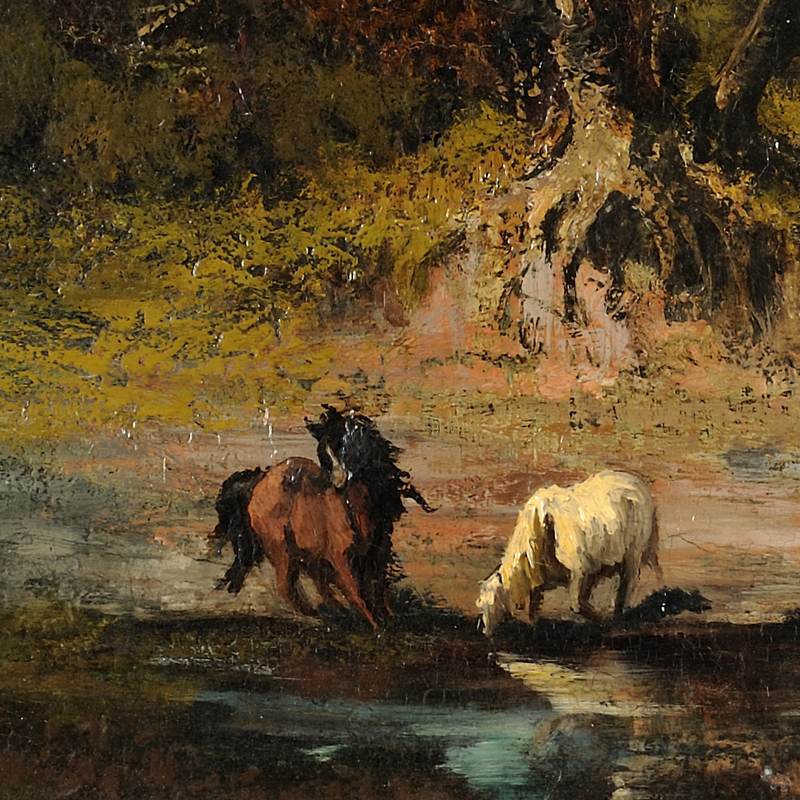 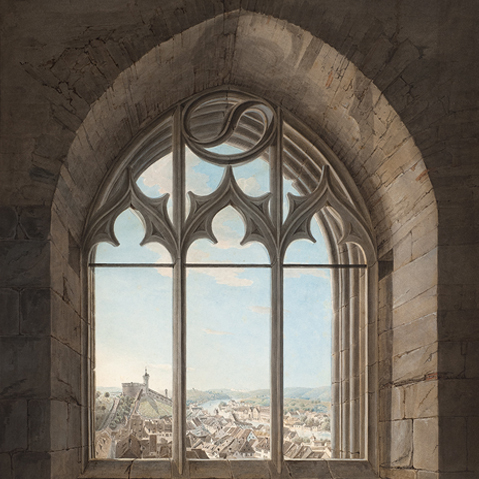 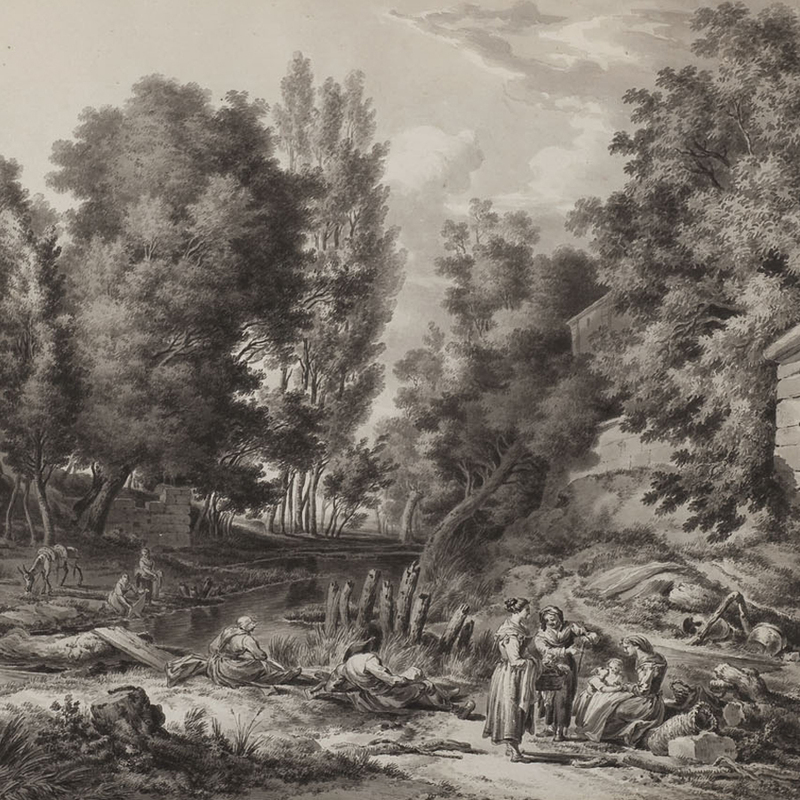 The presentation of a private collection of 19th century French landscapes ranging from Neoclassicism to Symbolism, which reveals the selective taste of a French collector. 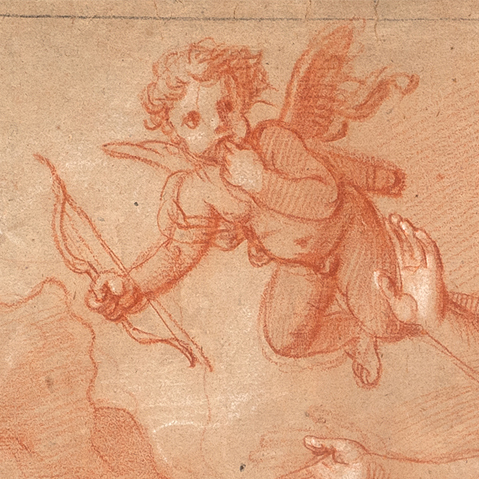 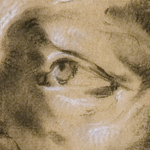 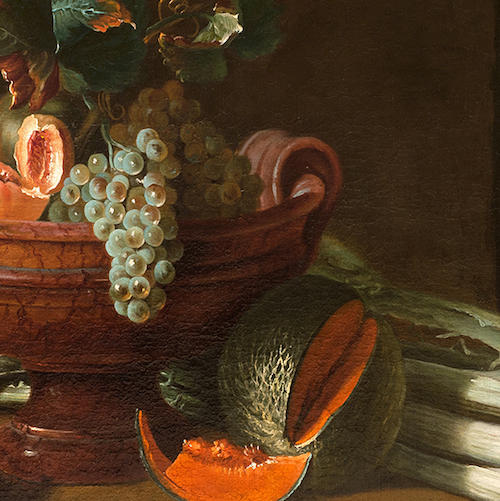 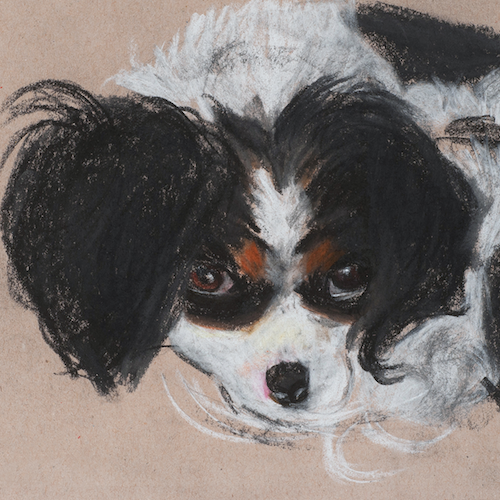 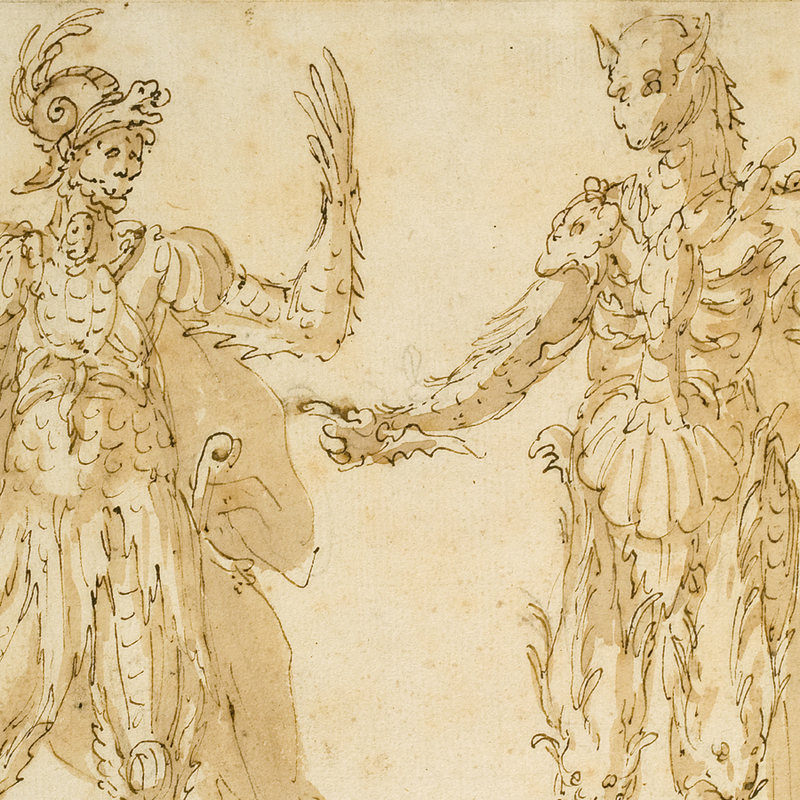 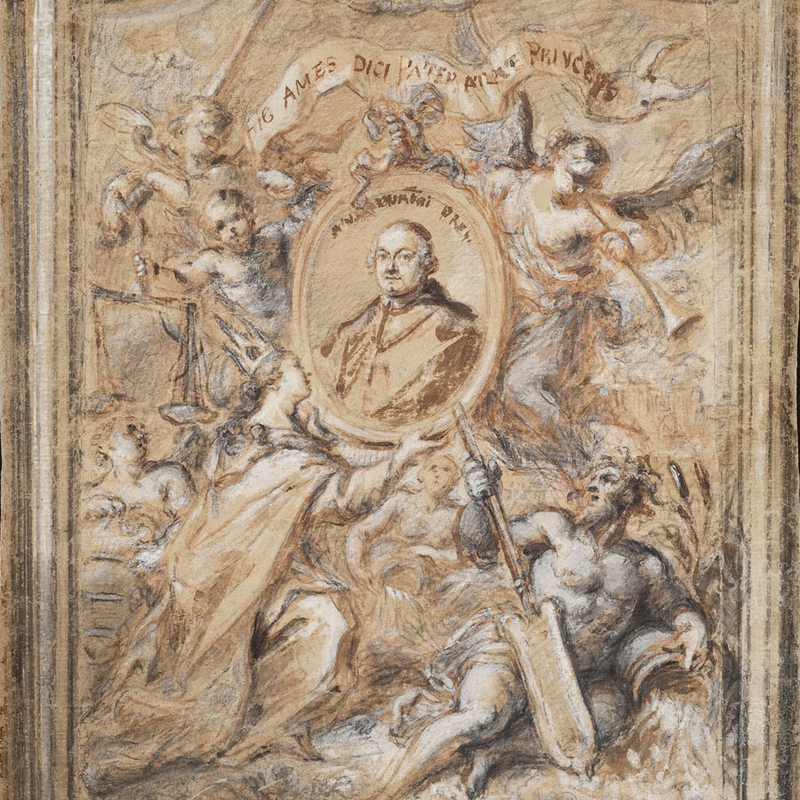 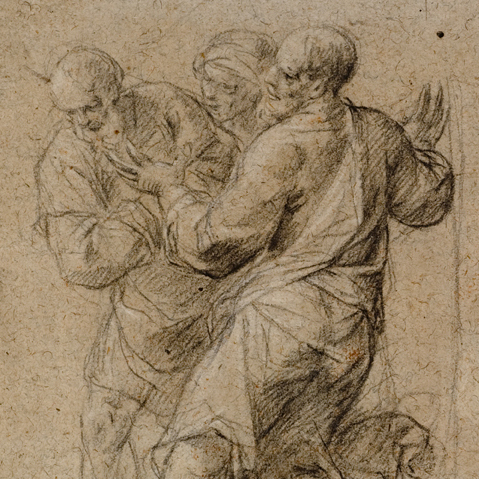 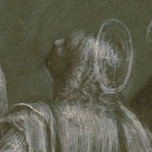 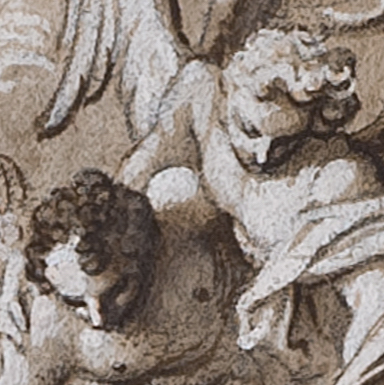 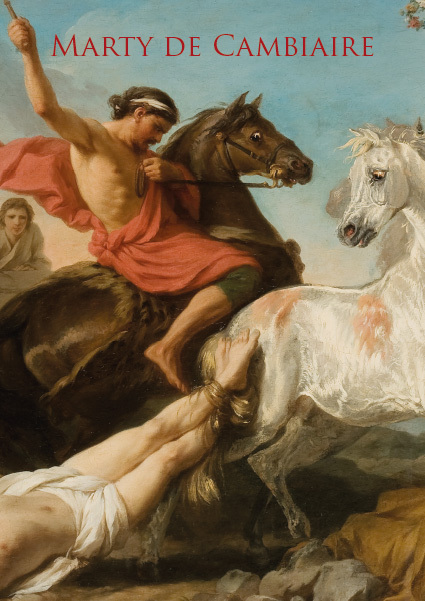 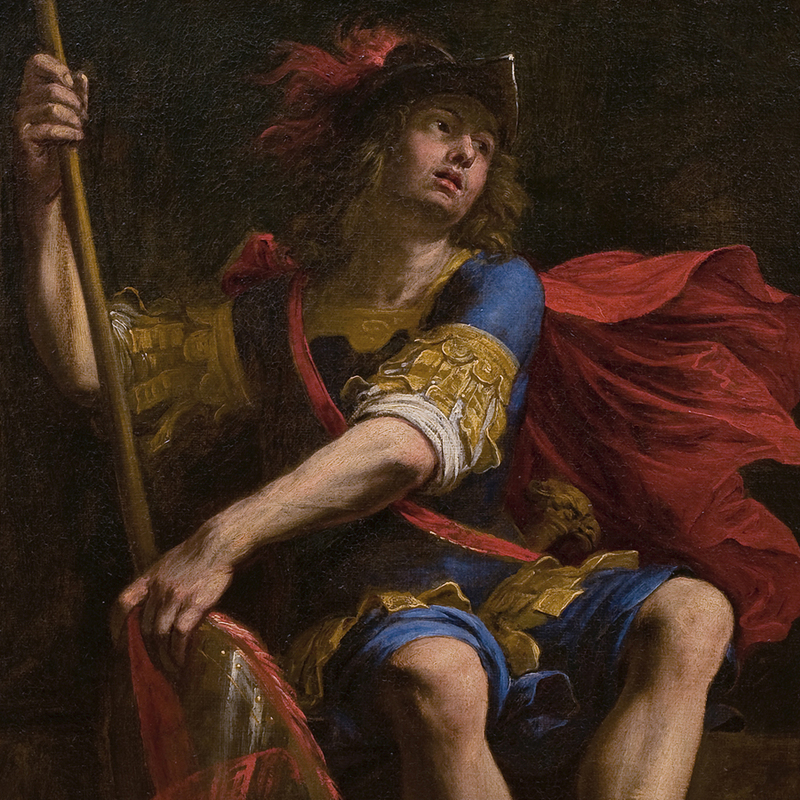 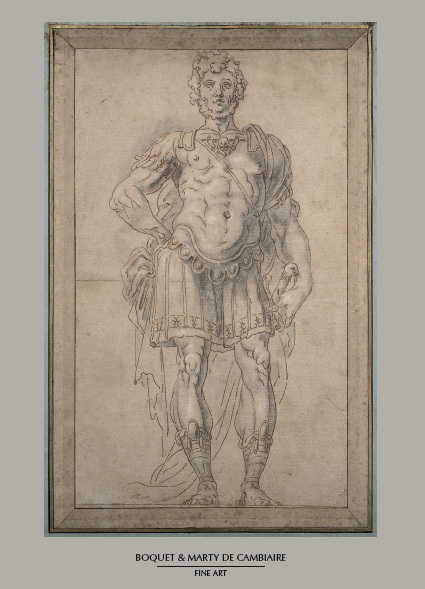 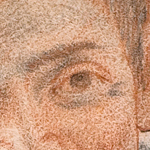 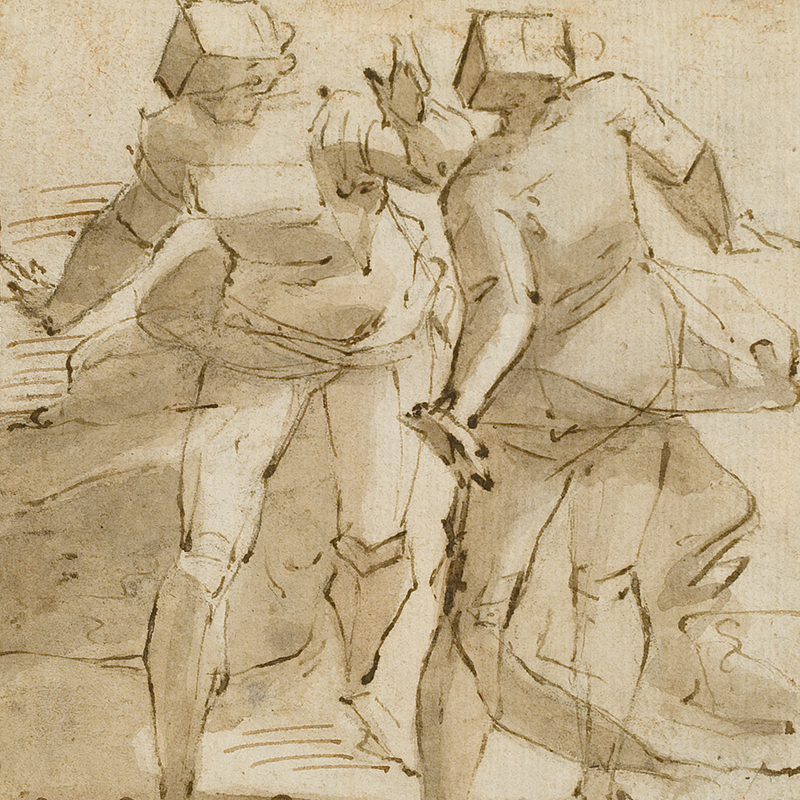 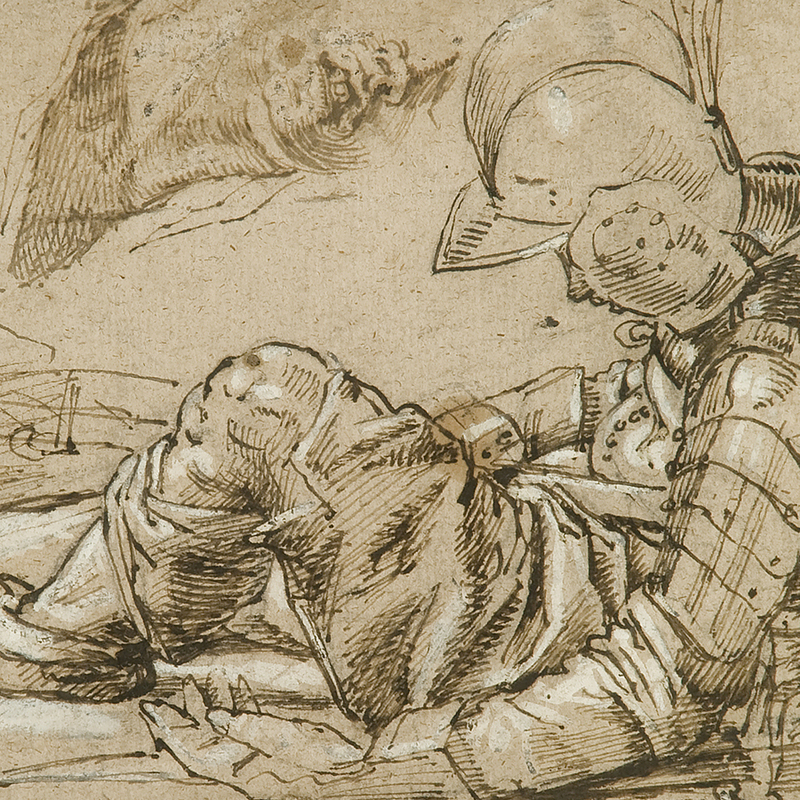 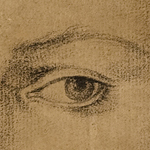 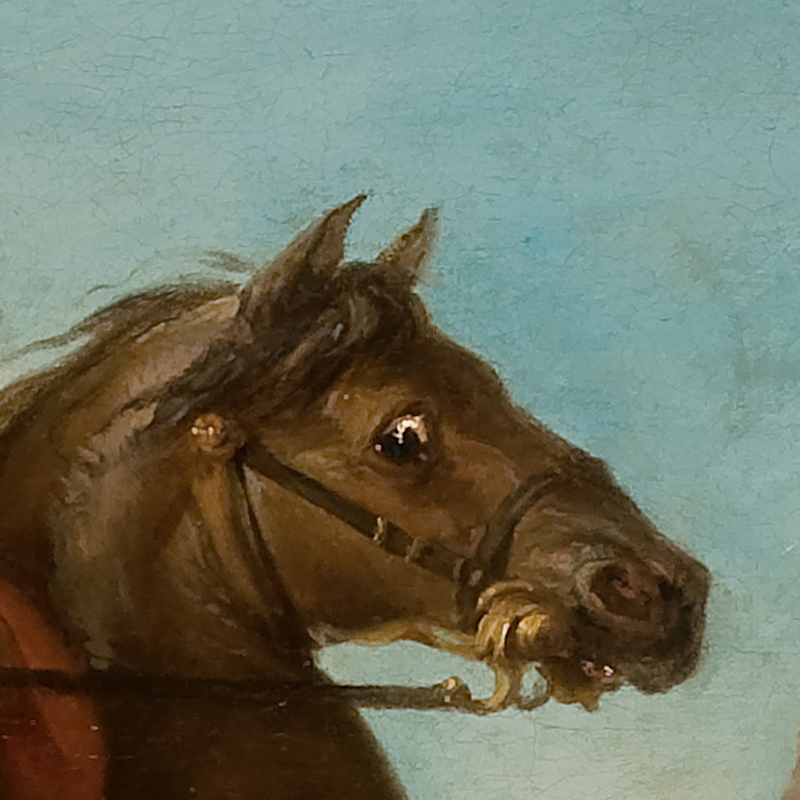 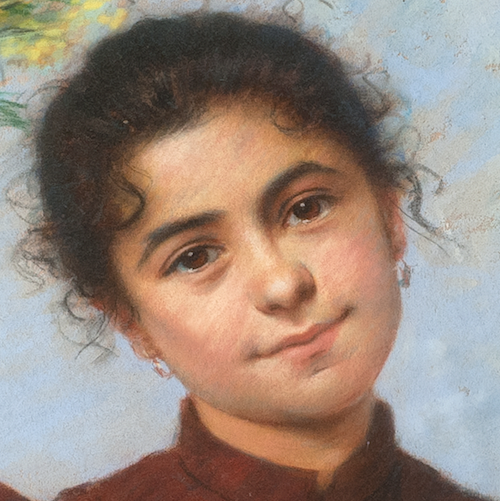 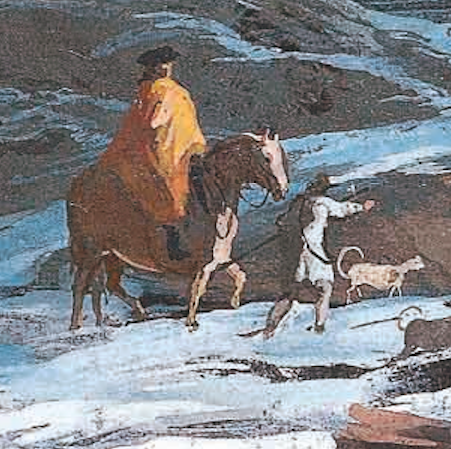 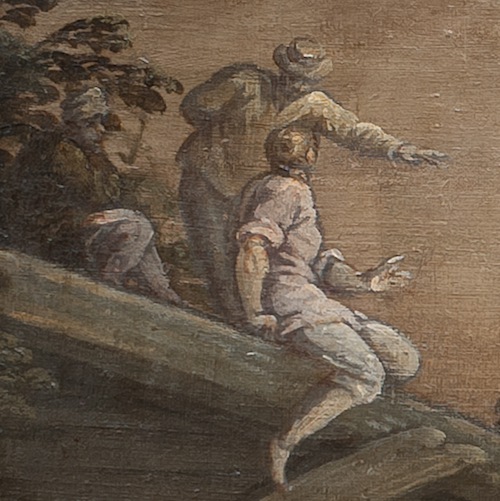 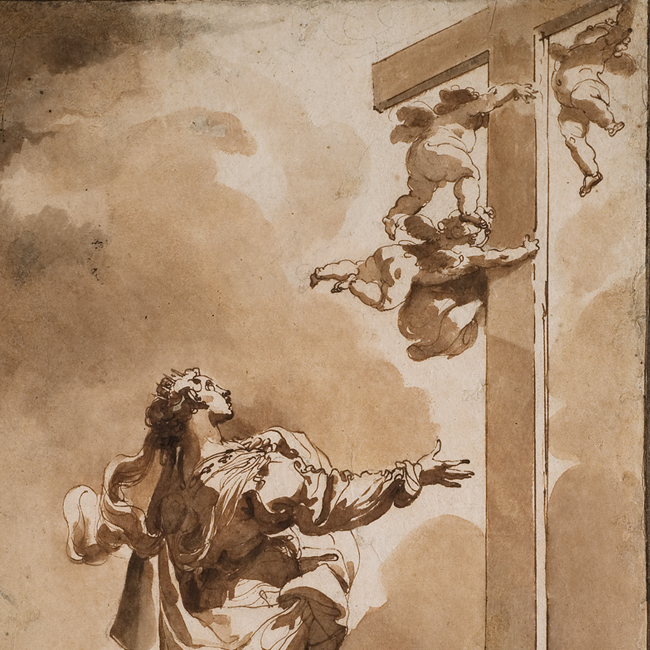 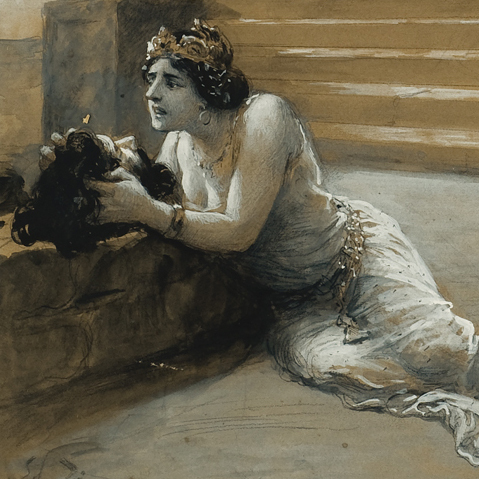 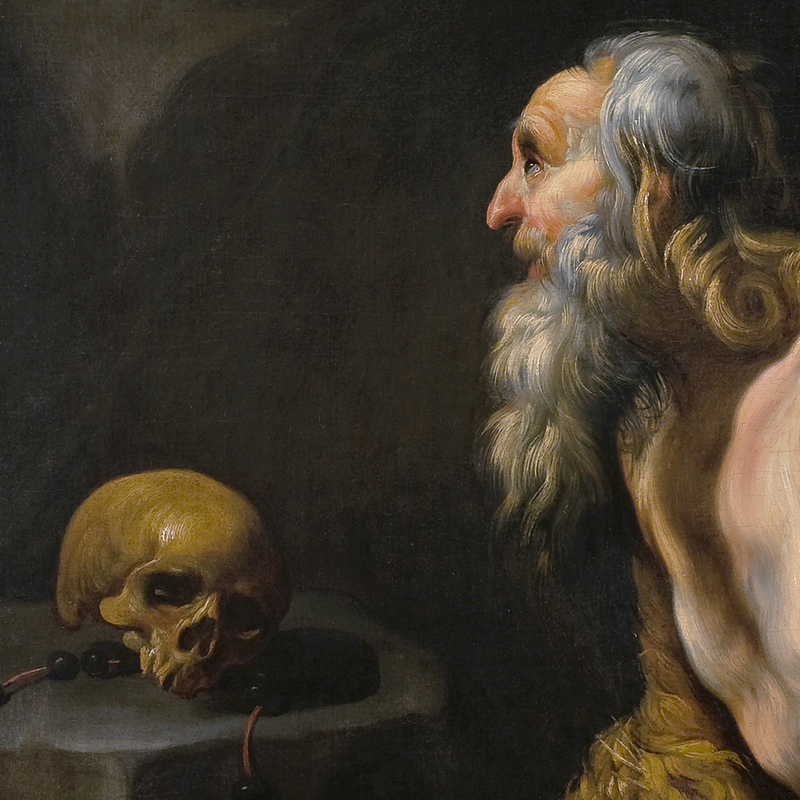 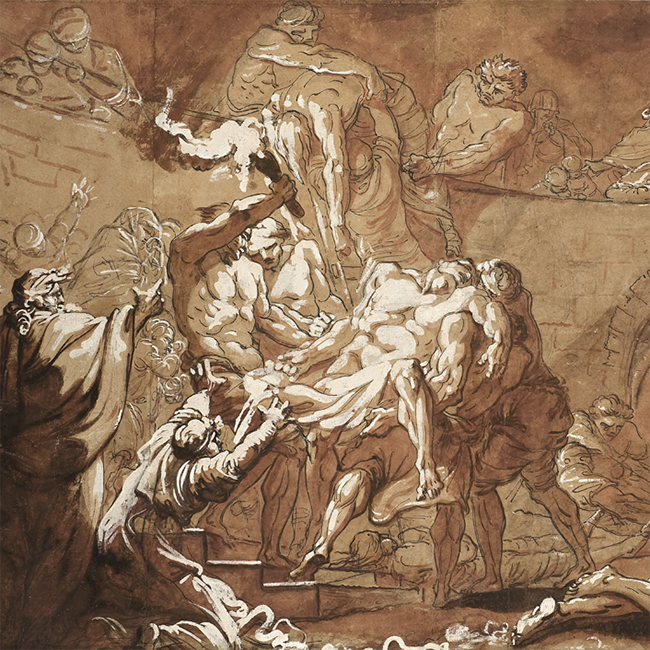 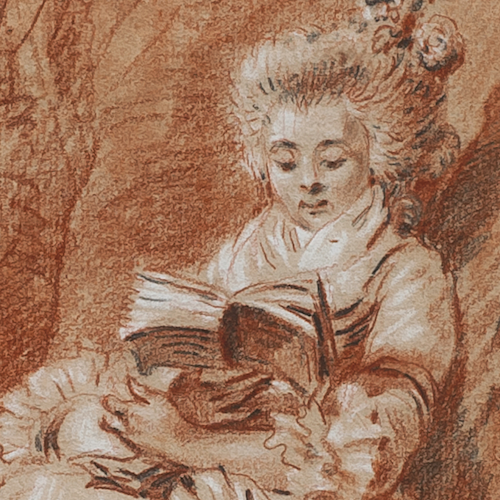 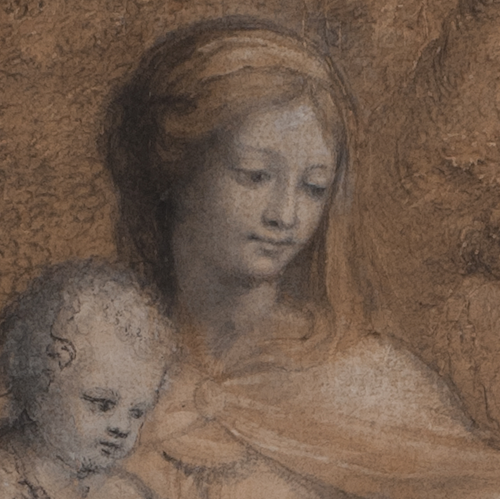 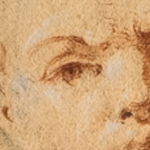 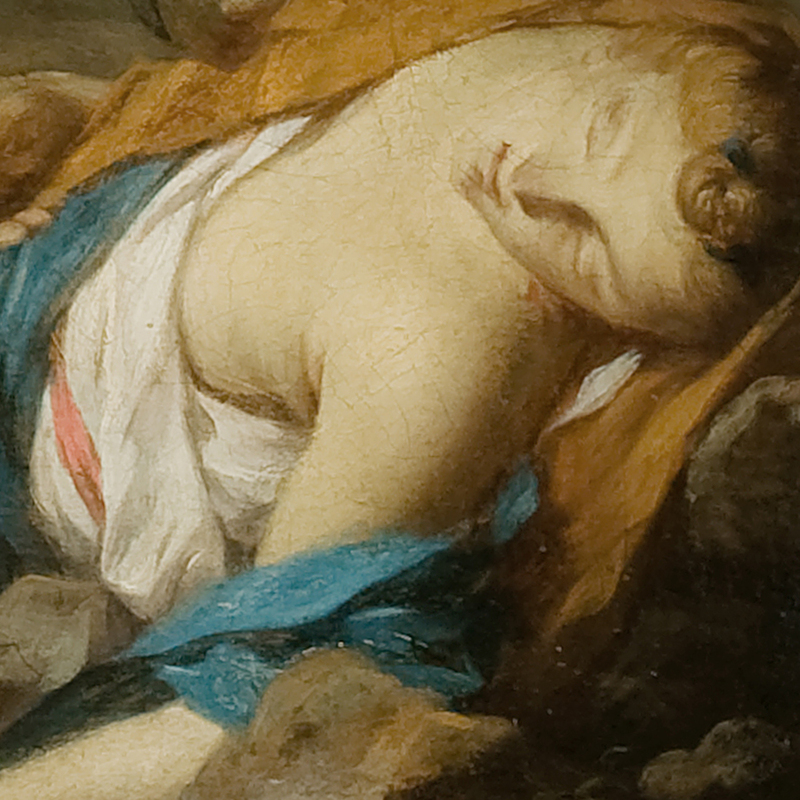 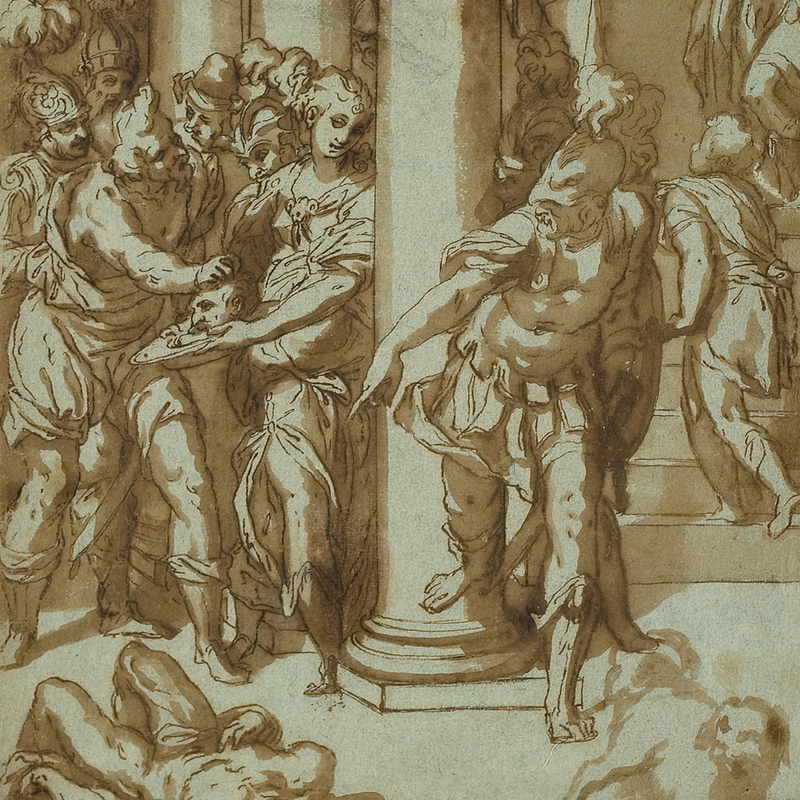 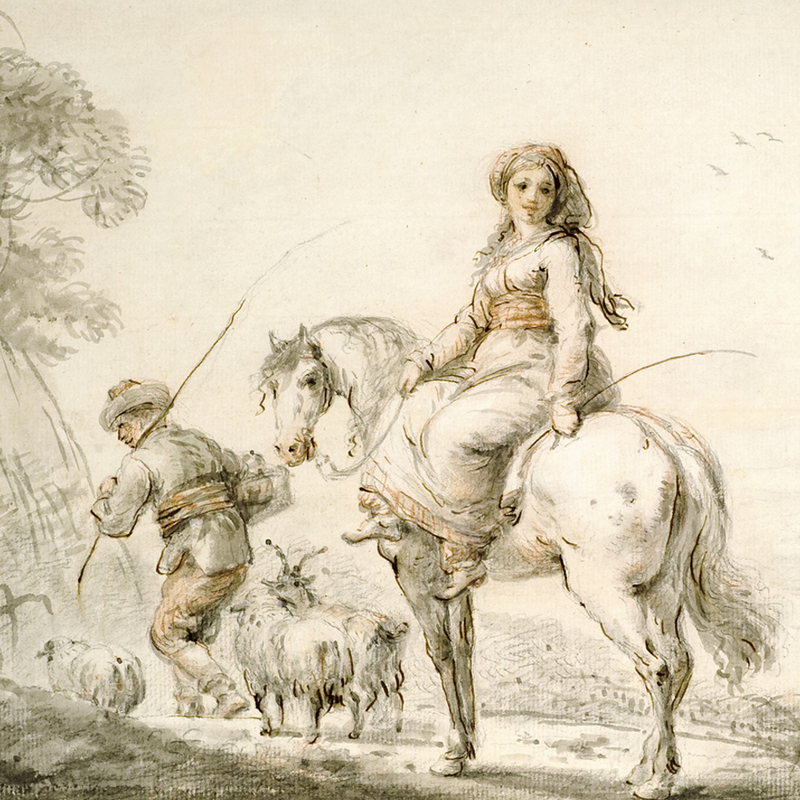 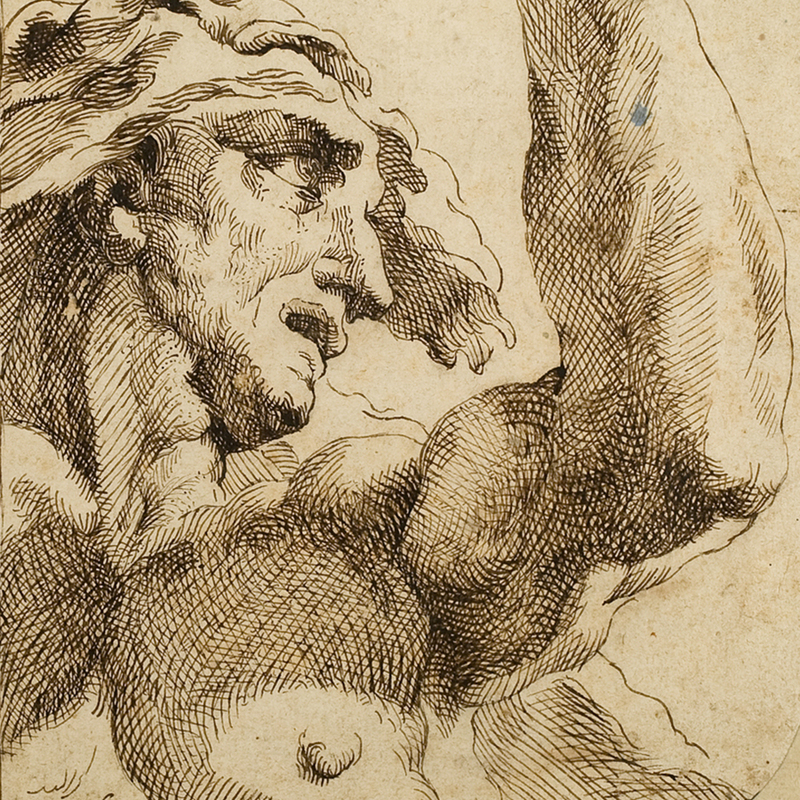 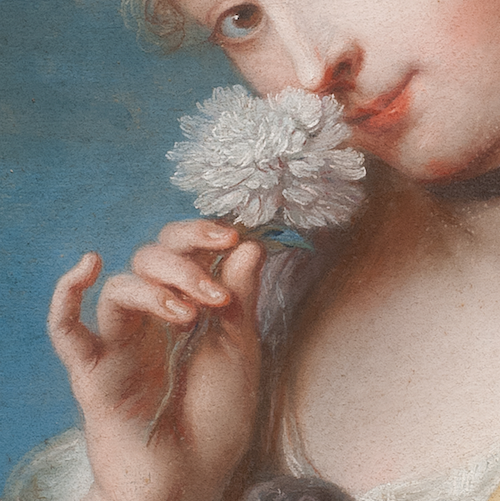 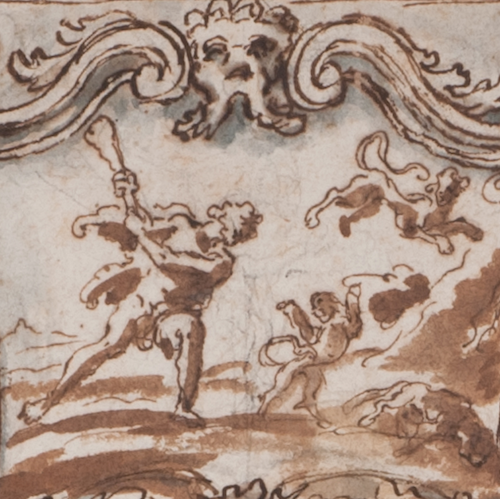 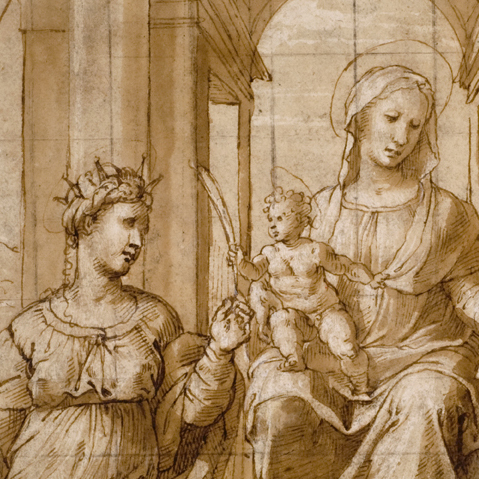 A selection of French and Italian drawings from the 16th to the 20th century including some remarkable works from the French 18th century, as well as a major pastel by Schuffenecker purchased by the Cleveland Museum of Art, Ohio. 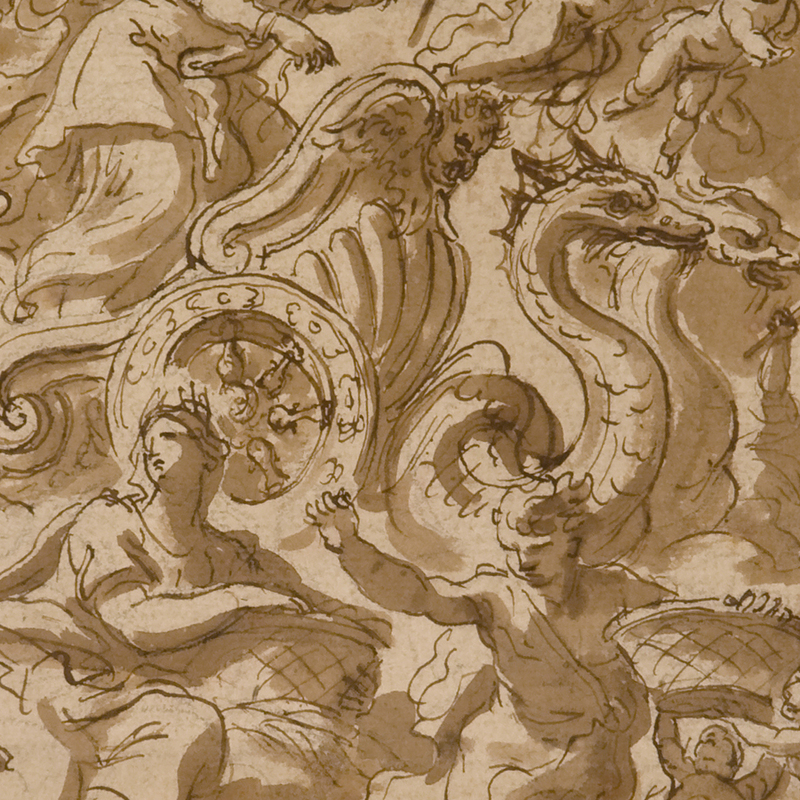 The presentation of 25 old master drawings from the collection of the famous fabric designer Manuel Canovas. 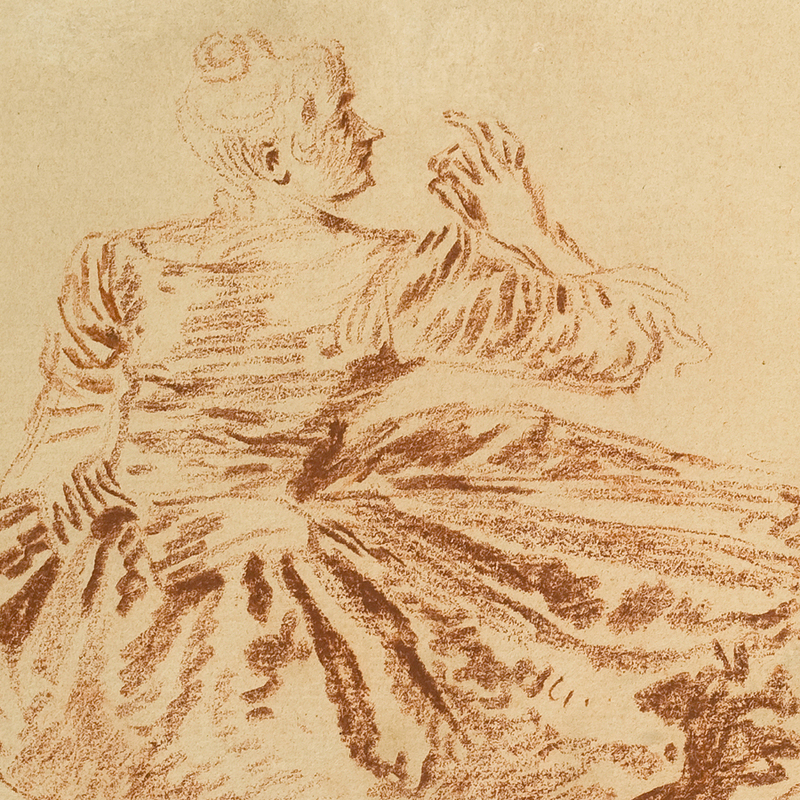 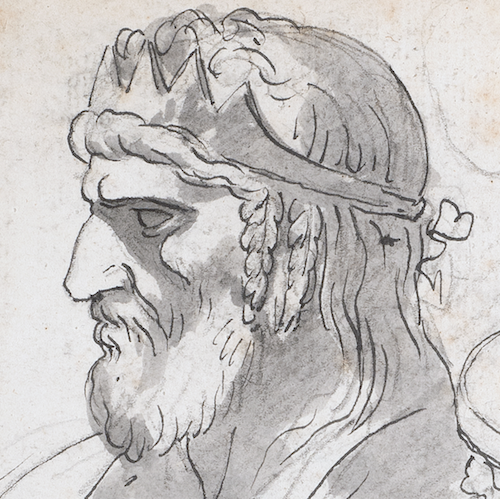 A selection of French drawings from the 17th to the 19th century including a rediscovered portrait by Hyacinthe Rigaud and a portrait of so called father of modern psychology Philippe Pinel, painted by Julie Forestier (Ingres' first fiancée). 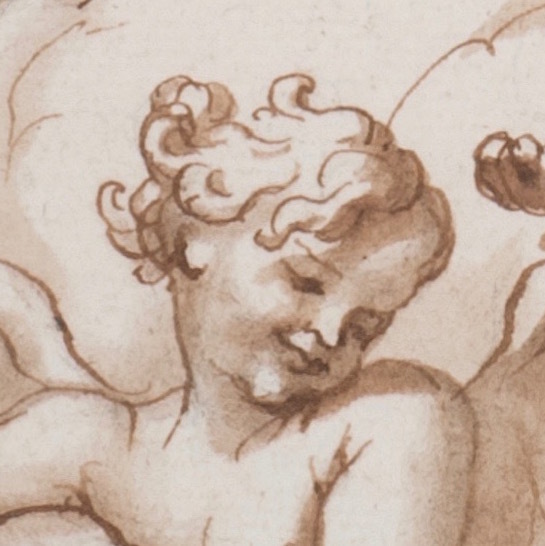 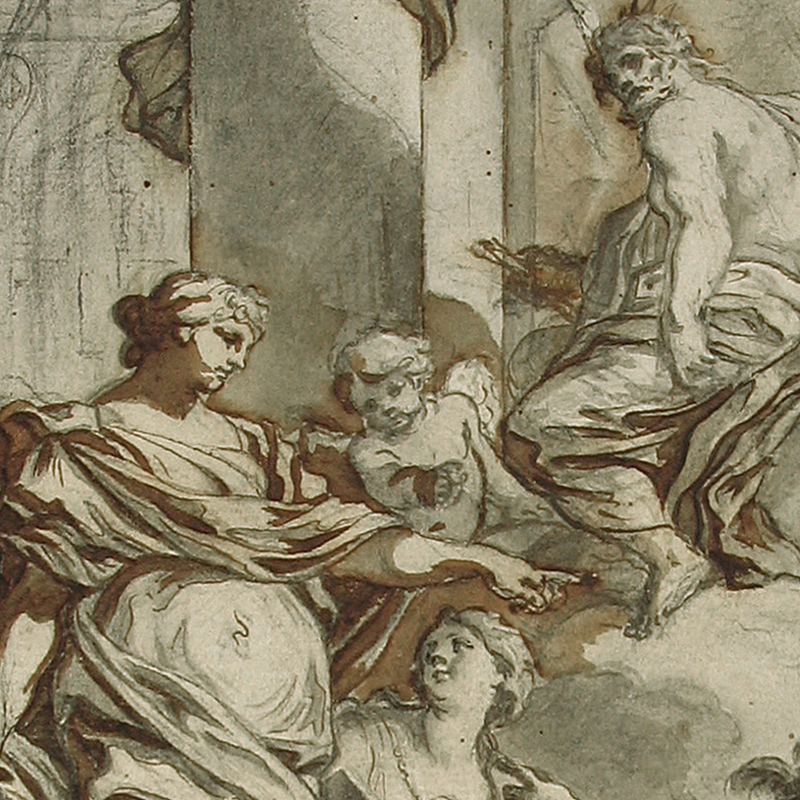 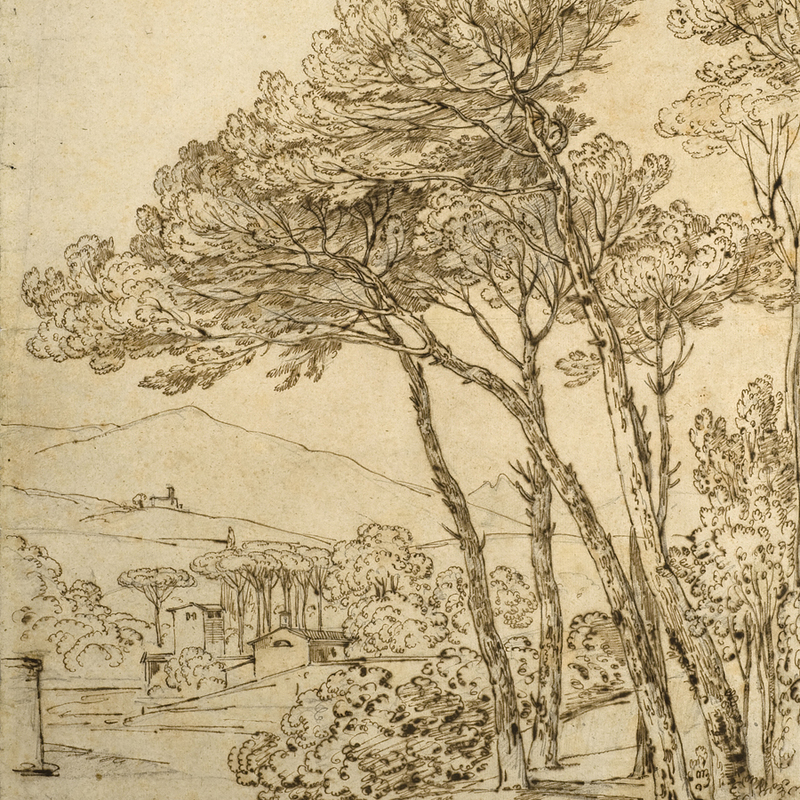 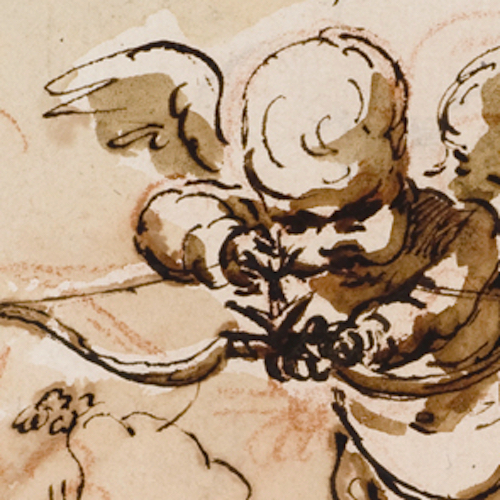 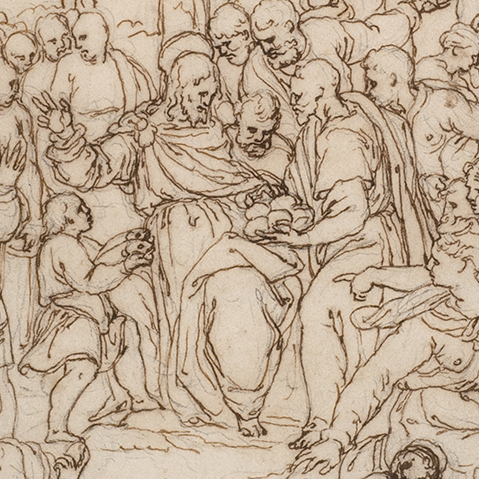 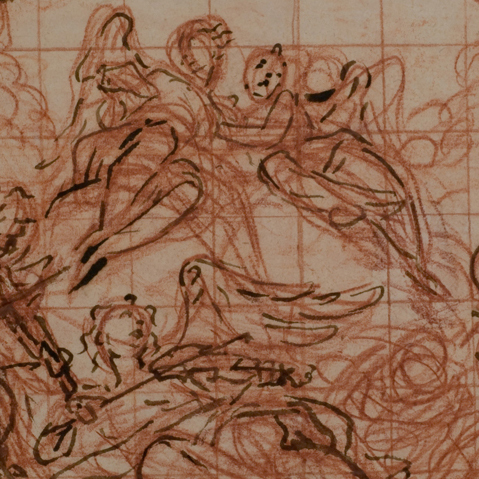 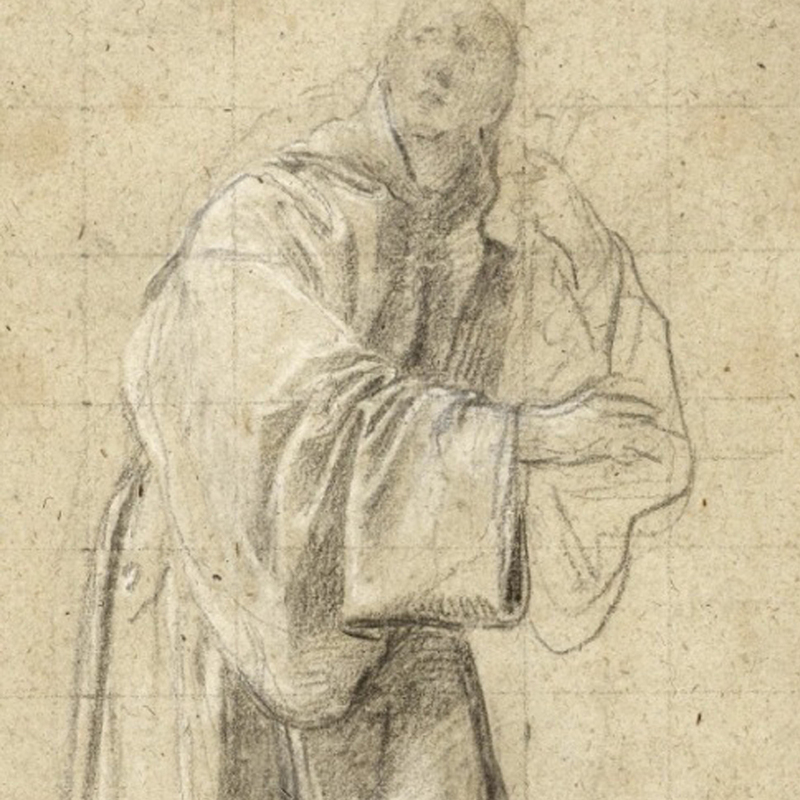 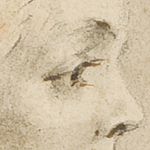 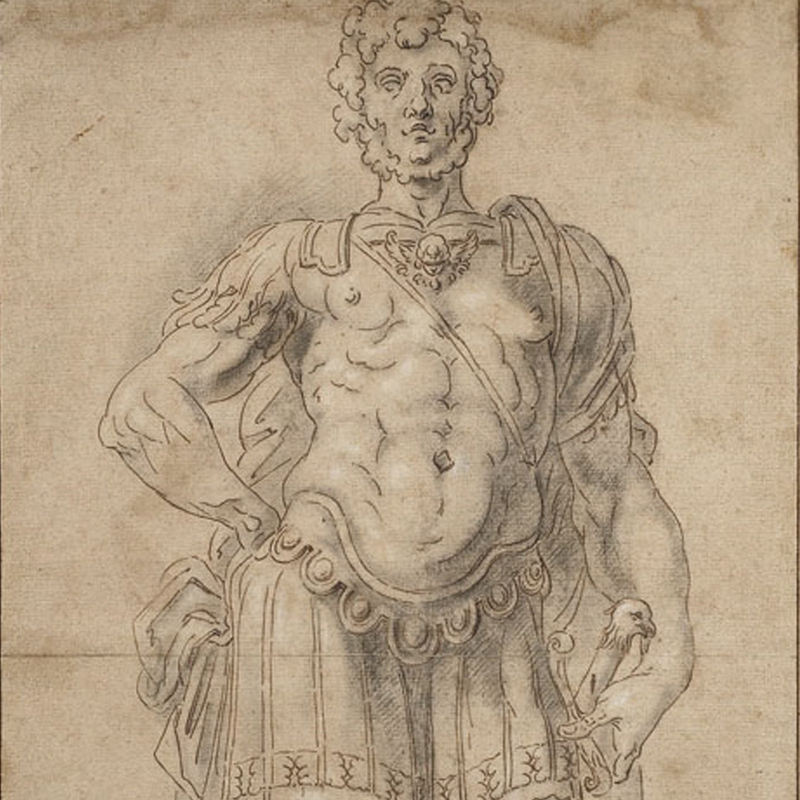 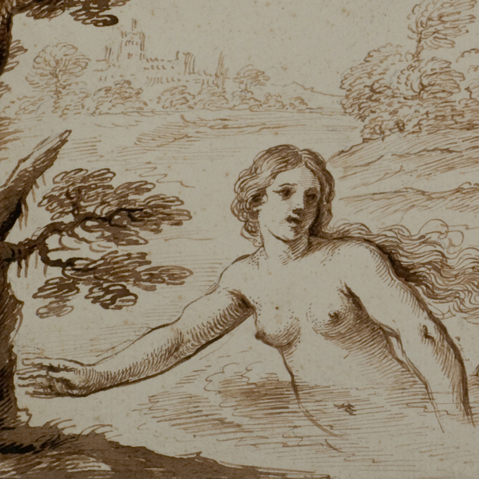 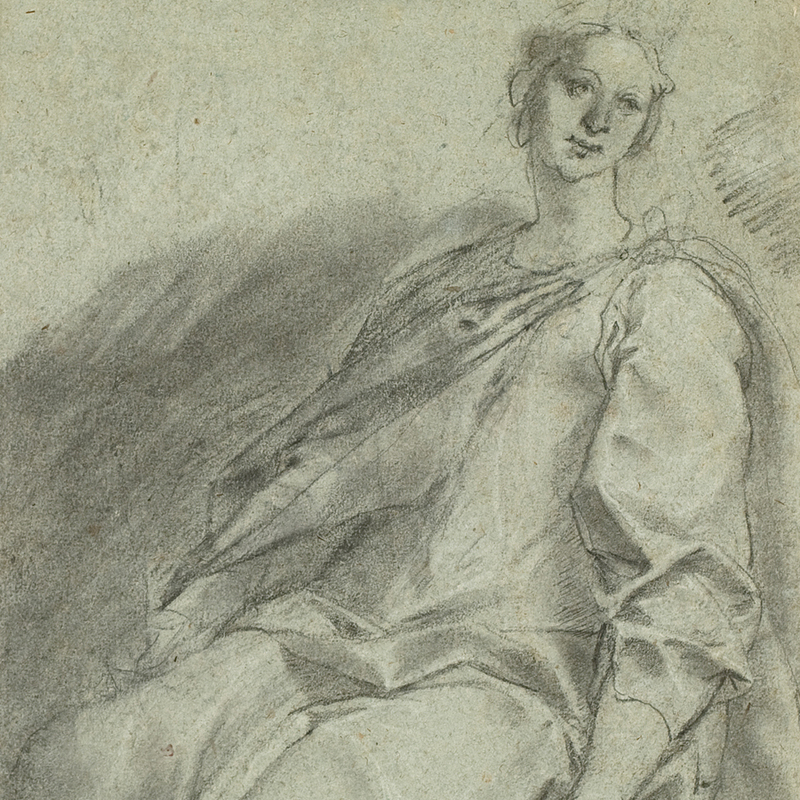 A collection of works on paper by French artists from late 16th through 20th century including a major drawing of the second school of Fontainebleau purchased by the Metropolitan Museum of New York.